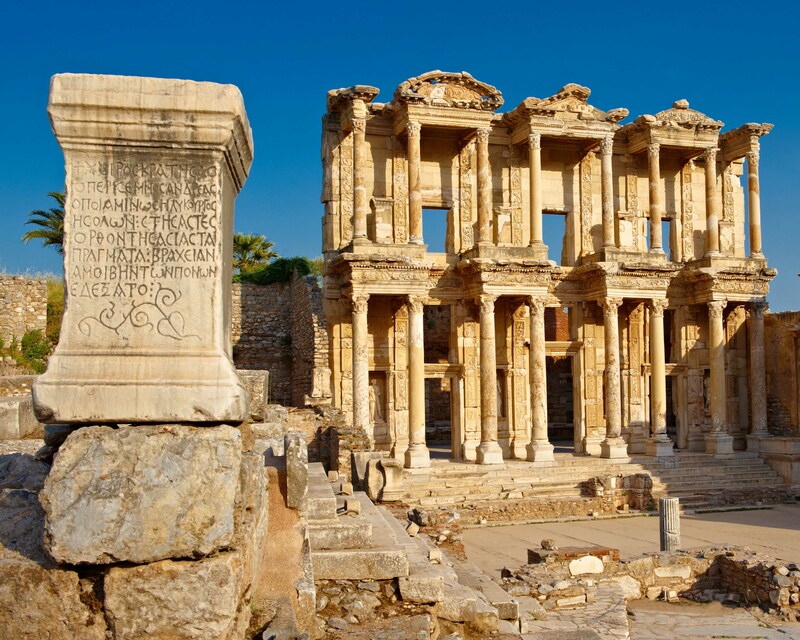 D1DCC0 Picture of The library of Celsus at sunrise in the Roman ruins of Ephesus, Anatolia, Turkey. 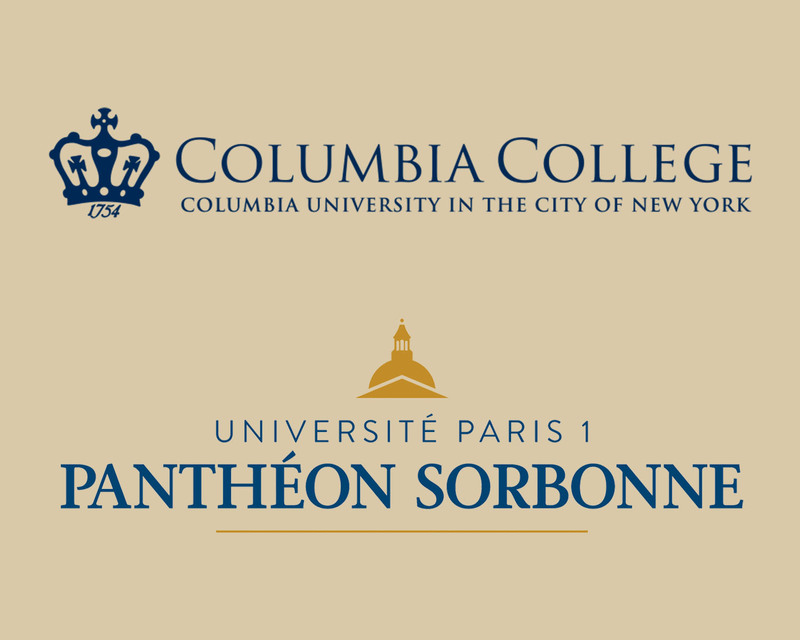 On March 4 and 6 Dr. Lucia Carbone participated in the workshop Parallel Heritages, Humanities in Action co-organized by Columbia University in New York and the Université Paris I - Panthéon-Sorbonne. 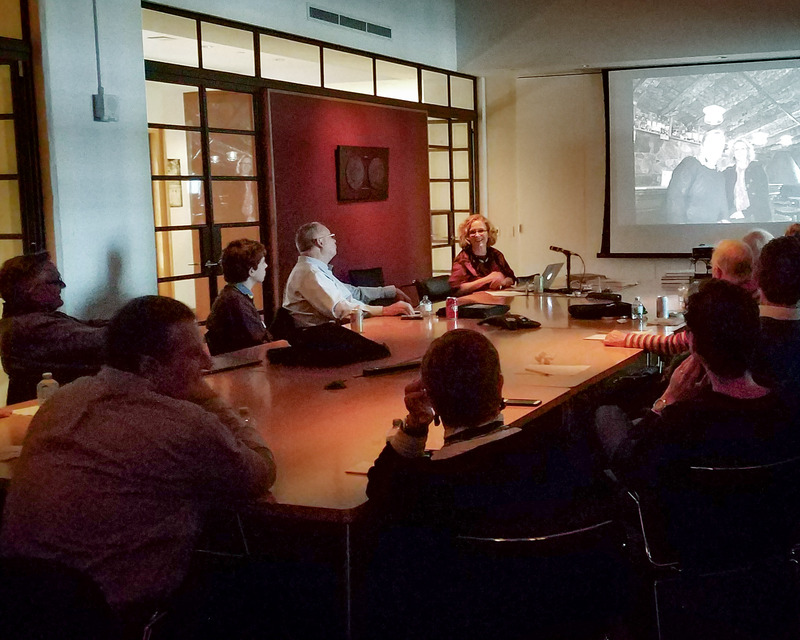 The project brought together faculty members and PhD students from the departments of Art History and Archaeology at Université Paris I, Panthéon-Sorbonne and Columbia University to conduct two week-long research seminars on the history of their respective university collections in New York and Paris. 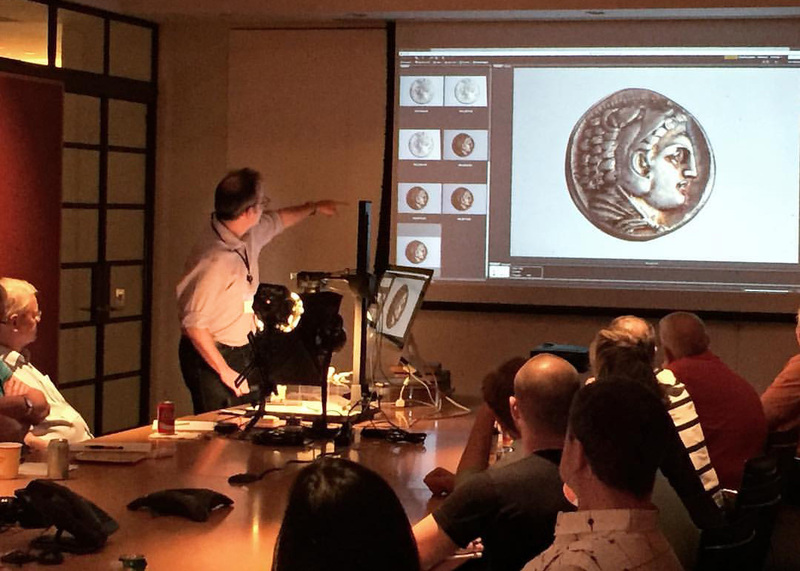 Dr. Carbone presented on the history of the Olcott Coin Collection, a collection of over 3,500 Roman Provincial, Imperial and Republican coins hosted at RBML. 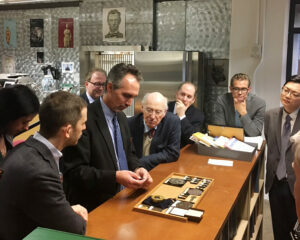 This collection is currently being catalogued by Columbia University PhD students under the supervision of Dr. Carbone. 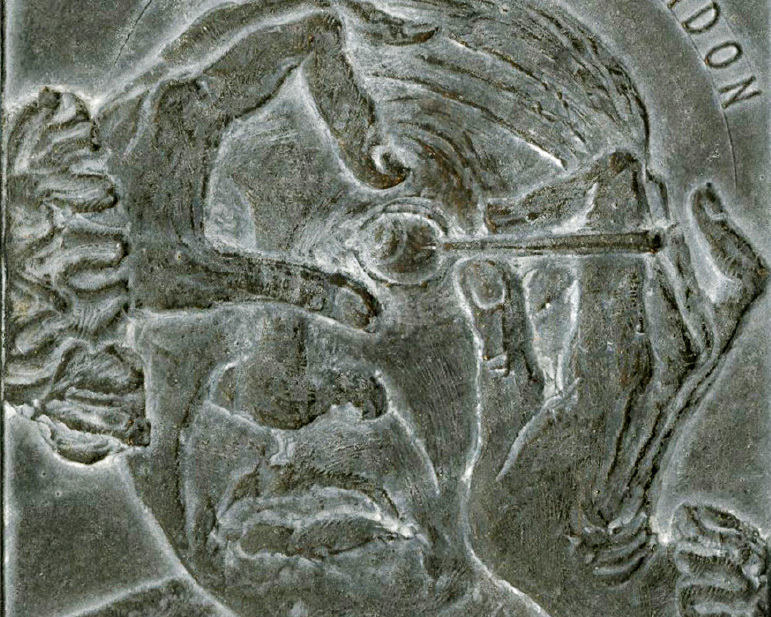 Donald Squires gave the March “Money Talks”—Reading Byzantine Coins. 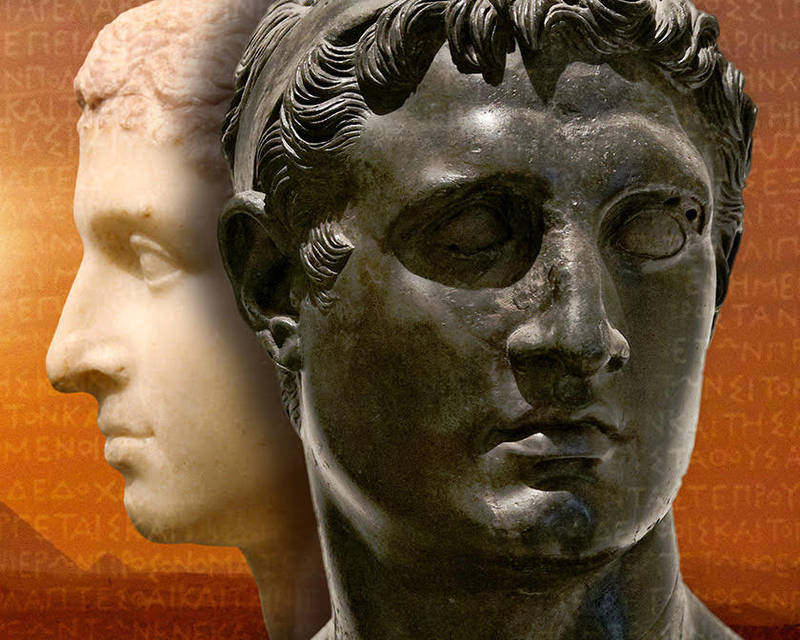 He gave attendees some tools to decipher tricky Byzantine inscriptions with Latin, Greek, or both and written in a mixture of the Greek and Roman alphabets. 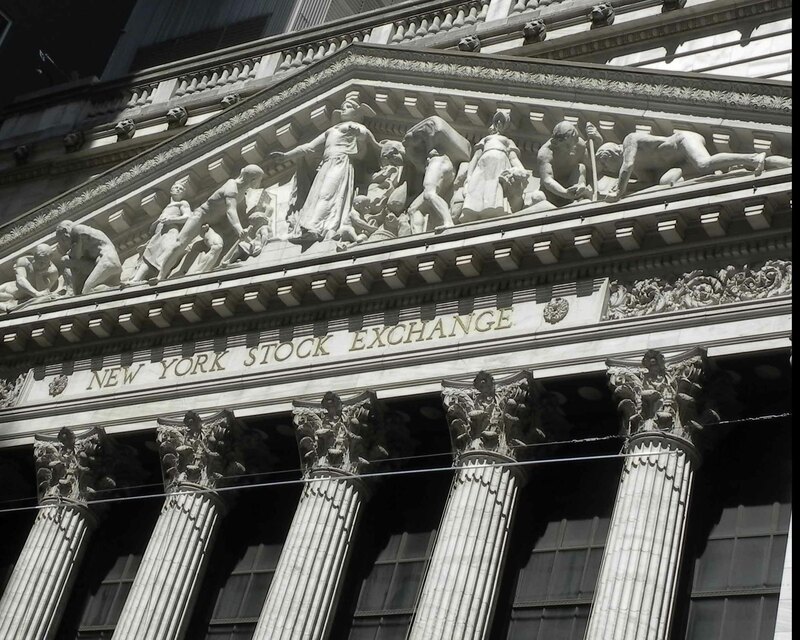 Read about upcoming Money Talks. 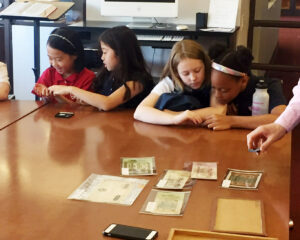 On March 1 a group of eleven students from Pine Crest School (Florida) visited the ANS. 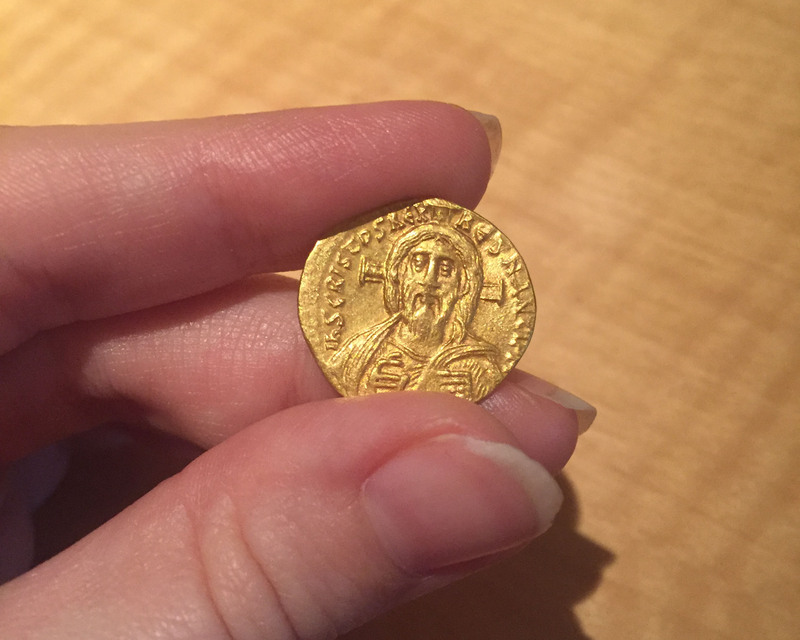 The students were accompanied by their Latin teachers and were introduced to the coinage of Caesar and Augustus by Dr. Lucia Carbone, Assistant Curator of Roman coins. 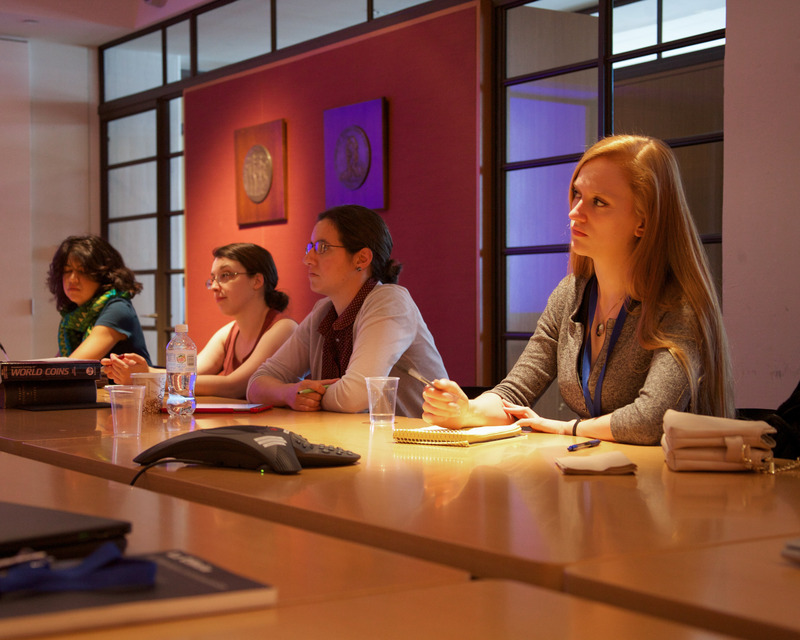 Another group of twelve students, this time from the Scuola d’Italia ‘Guglielmo Marconi’, visited ANS on November 17. 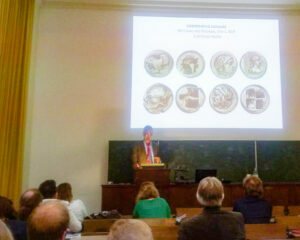 Dr. Peter van Alfen introduced the students to the history of ANS and guided the group through the premises of the Society, while Dr. Carbone presented an overview of the history of Roman coinage. 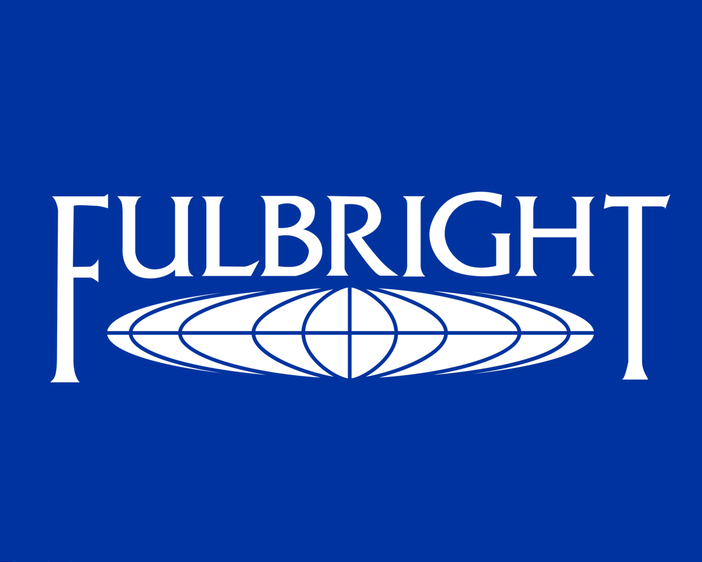 U.S. Fulbright Scholar Program offers nearly 470 teaching, research or combination teaching/research awards in over 125 countries and the 2020-21 Fulbright U.S. Scholar Program competition is now open! 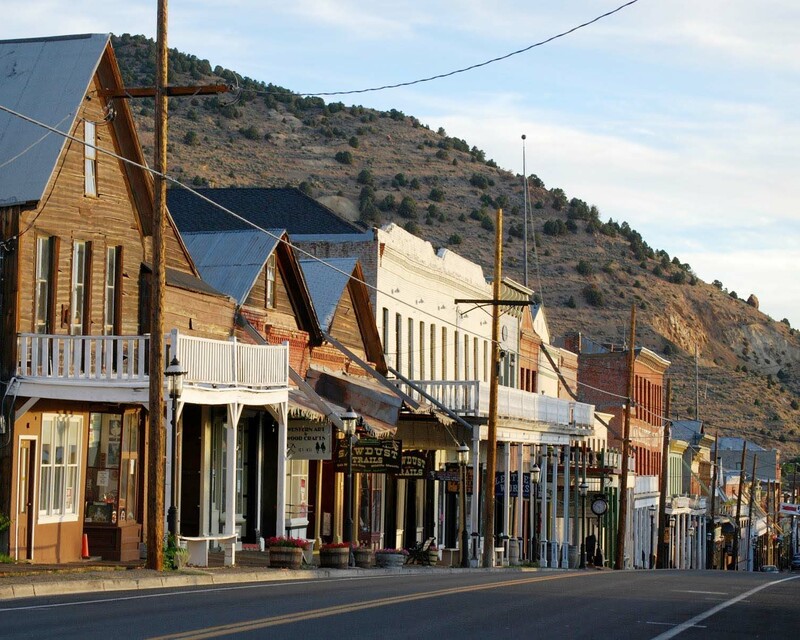 The complete list of opportunities available in the region can be found in their Catalog of Awards. 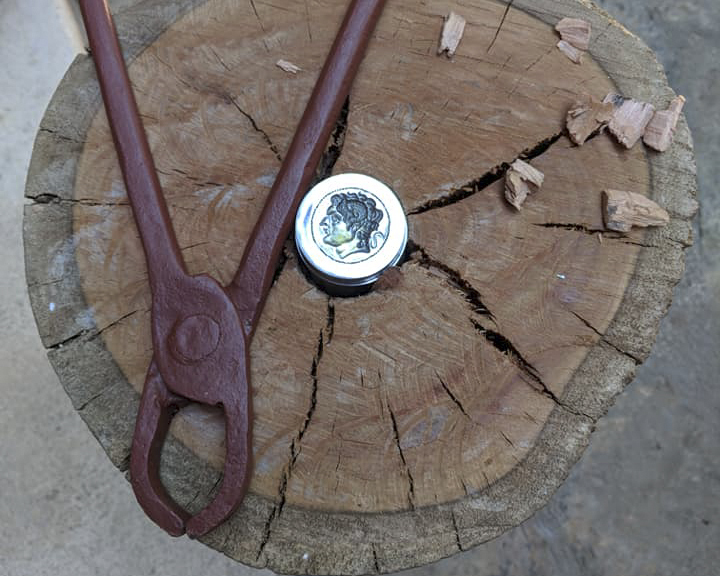 The First Issue of 2019 has been mailed out! 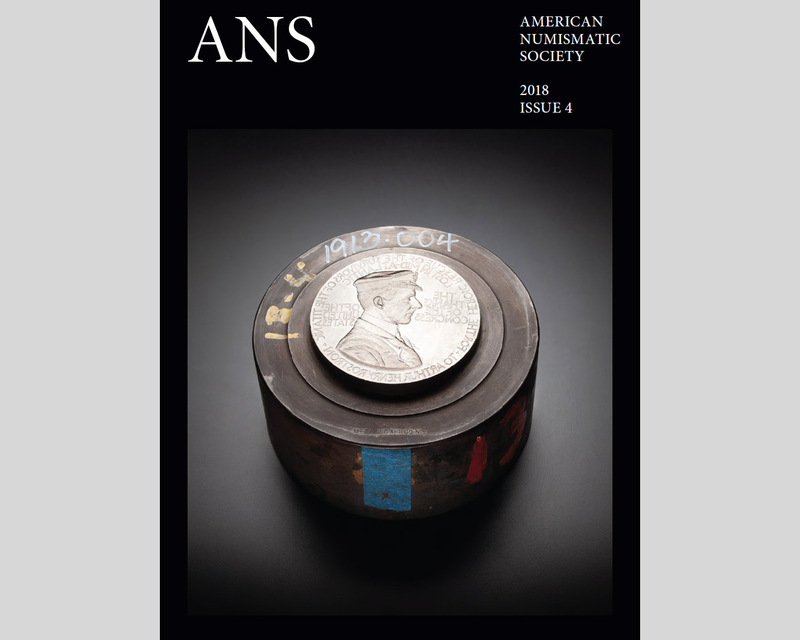 The first issue of ANS Magazine for 2019 was mailed out at the end of March. 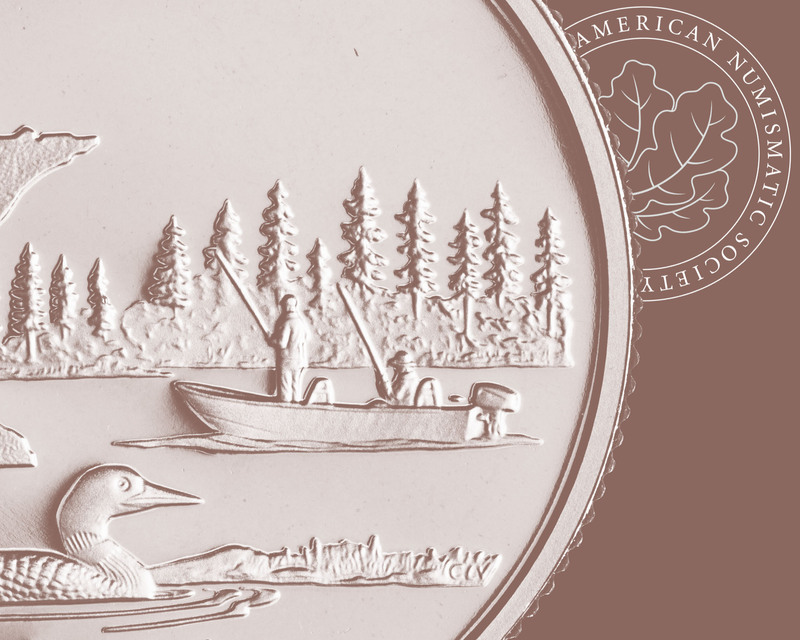 It features articles on the notebooks of ANS co-founder Edward Groh (David Hill), the Virgil Brand Collection of Newfoundland Two-Dollar Gold Coins (Harvey B. 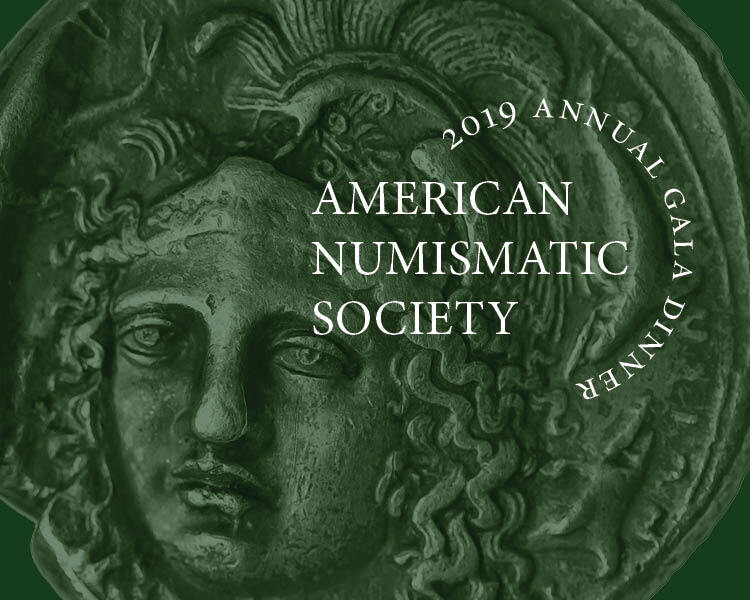 Richer and Eric M. Krauss), and coinage of medieval Italy (David Yoon), along with news, new acquisitions, an interview with the editor of the Journal of Early American Numismatics, and a look back at the 2019 ANS Gala. 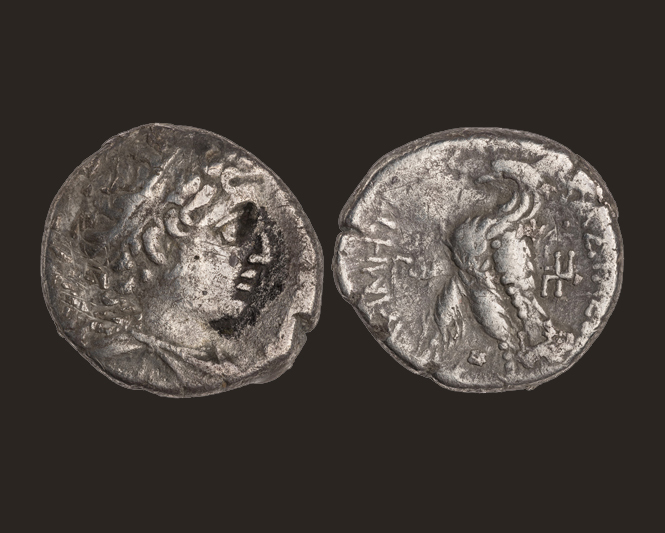 A Proxy Hasmonean Silver Coinage? 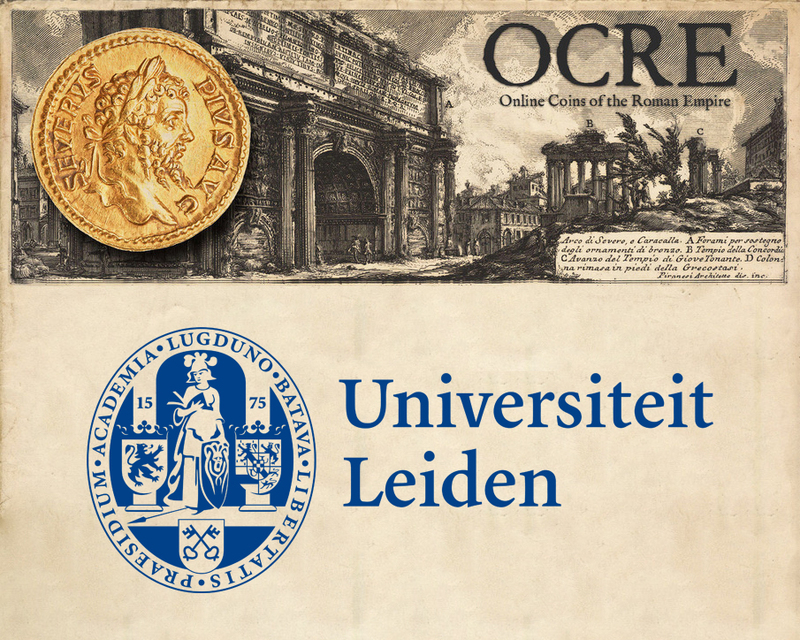 On April 5 at Leiden University, the annual state of the art lecture of the research group The Unification of the Mediterranean World 400 BC–400 AD will be given by Prof. Dr. C. Gazdac, titled Which coins were hoarded? 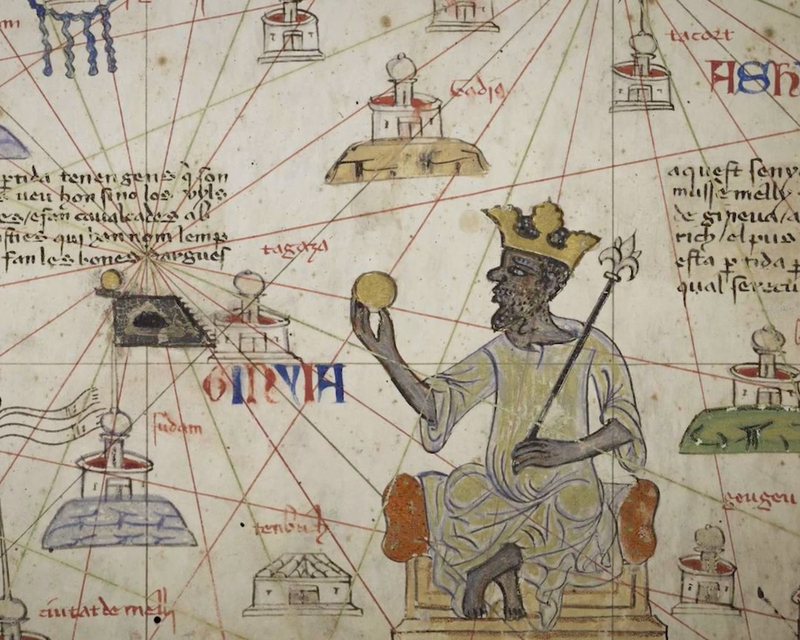 Why were they hidden, lost, or deposited? 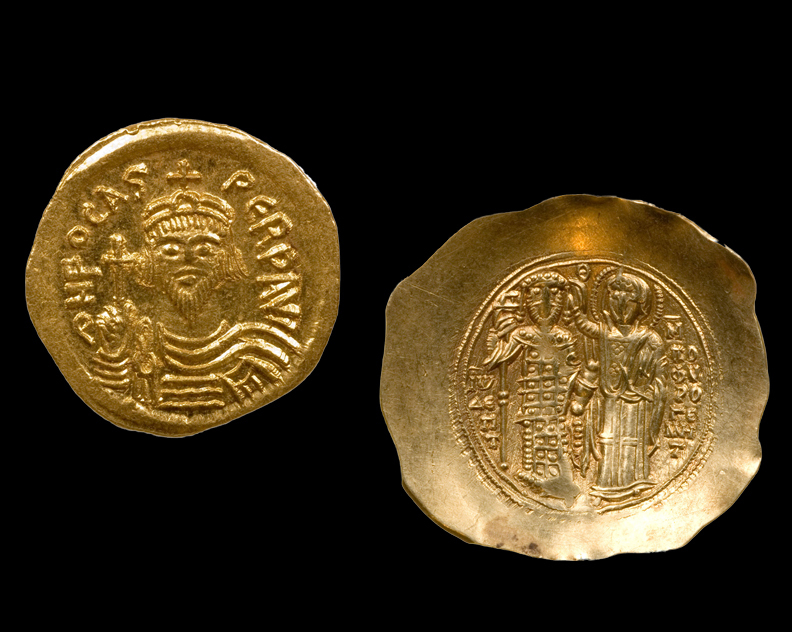 General and specific patterns of coin hoarding in the light of the Coin Hoards of the Roman Empire Project. The lecture is preceded by two workshops on the digital numismatic databases CHRE and OCRE. Attendance, lunch and drinks are free, but registration is required (email Liesbeth Claes: l.claes@hum.leidenuniv.nl). See Program. The First Issue of 2019 is Almost Here! 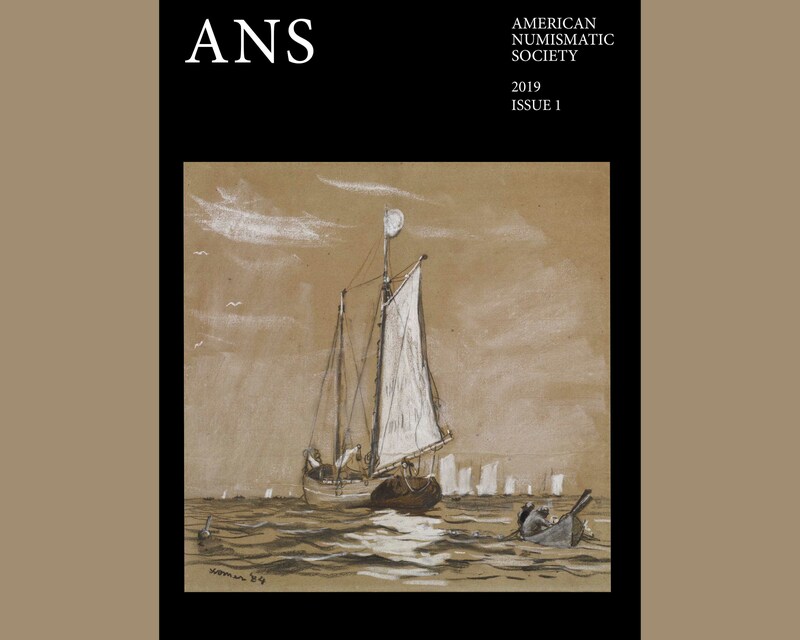 The first issue of ANS Magazine for 2019 will ship to Members in March. 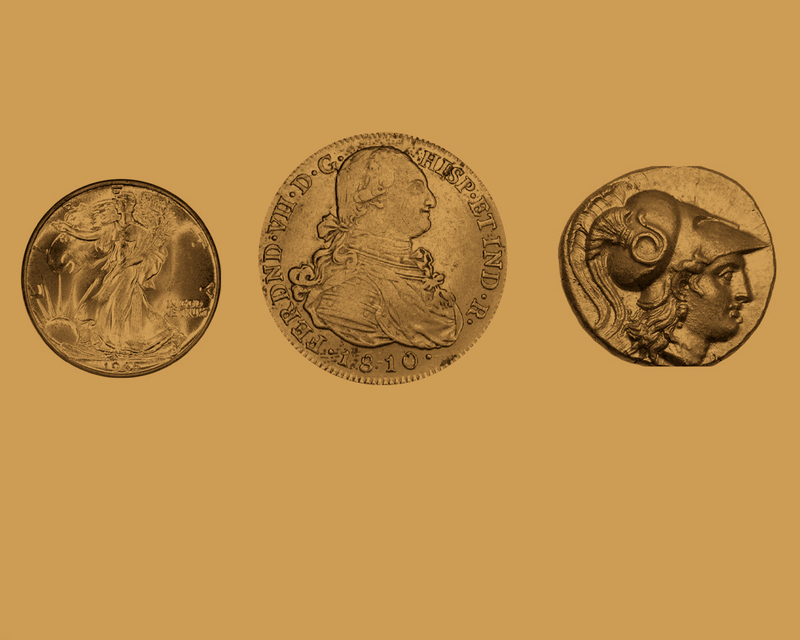 It features articles on the notebooks of ANS cofounder Edward Groh (David Hill), the Virgil Brand Collection of Newfoundland Two-Dollar Gold Coins (Harvey B. 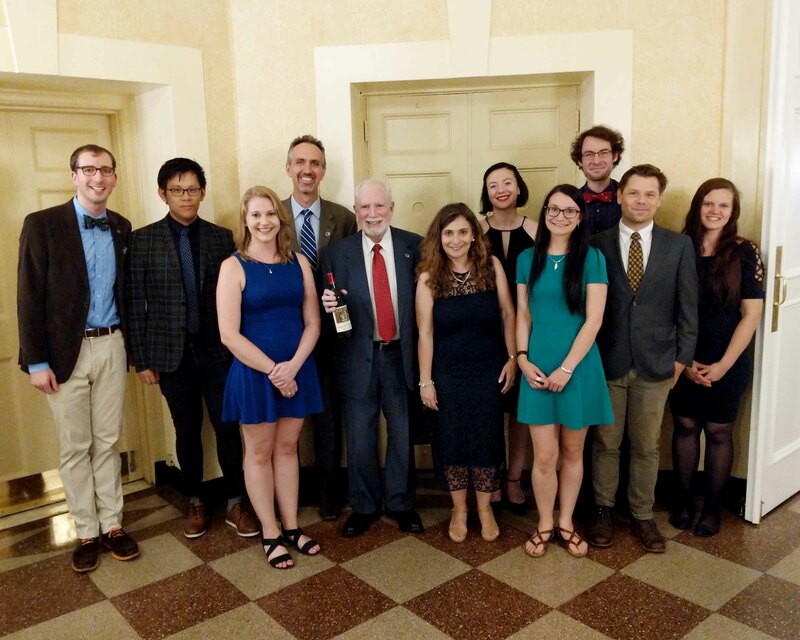 Richer and Eric M. Krauss), and coinage of medieval Italy (David Yoon), along with news, new acquisitions, an interview with the editor of the Journal of Early American Numismatics, and a look back at the 2019 ANS Gala. 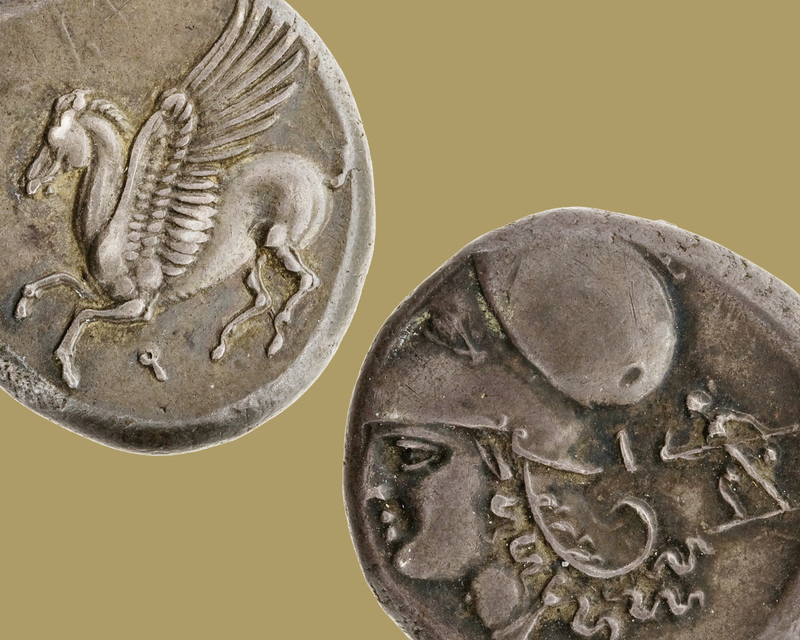 On February 9 Dr. Peter van Alfen invited members and friends of the ANS to the first “Money Talks” of 2019, which featured an introduction to Hellenistic Greek coinage and a good look at arguably some of the most beautiful coins in the collection. 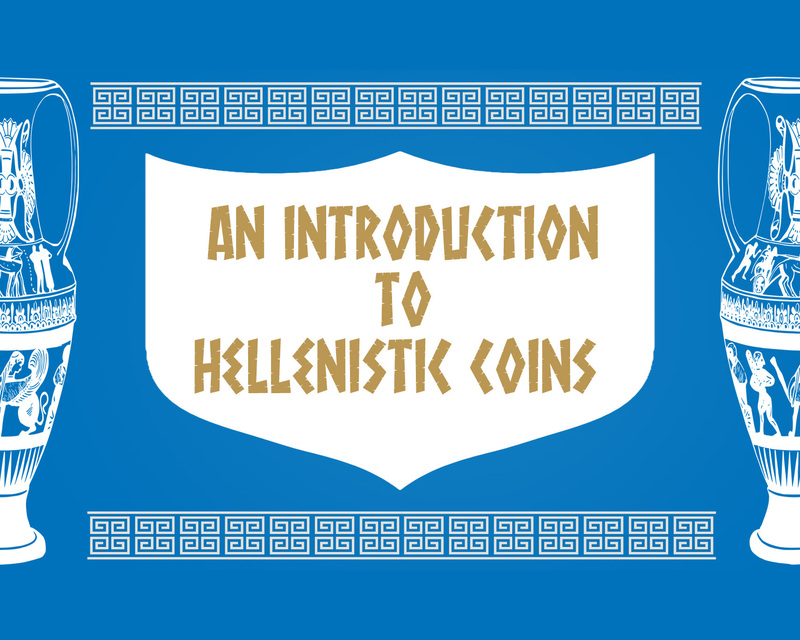 Touching on some of the current problems in Hellenistic numismatics and scholarship, Dr. van Alfen helped participants gain a better understanding of Hellenistic Greek coinages. 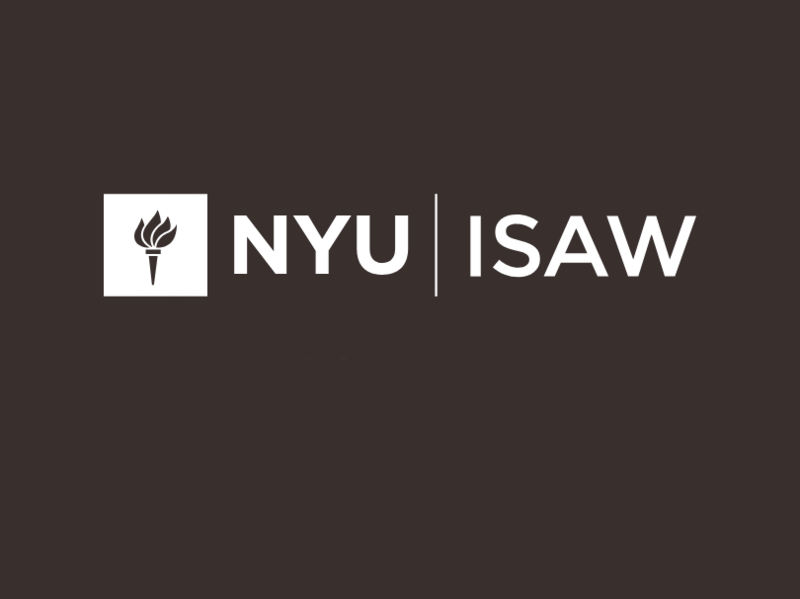 The Constantian Monetary Revolution, co-author by Prof. Roger Bagnall—Professor of Ancient History and Leon Levy Director Emeritus, Institute for the Study of the Ancient World, New York University—and Dr. Gilles Bransbroug has just been made available on ISAW Papers. 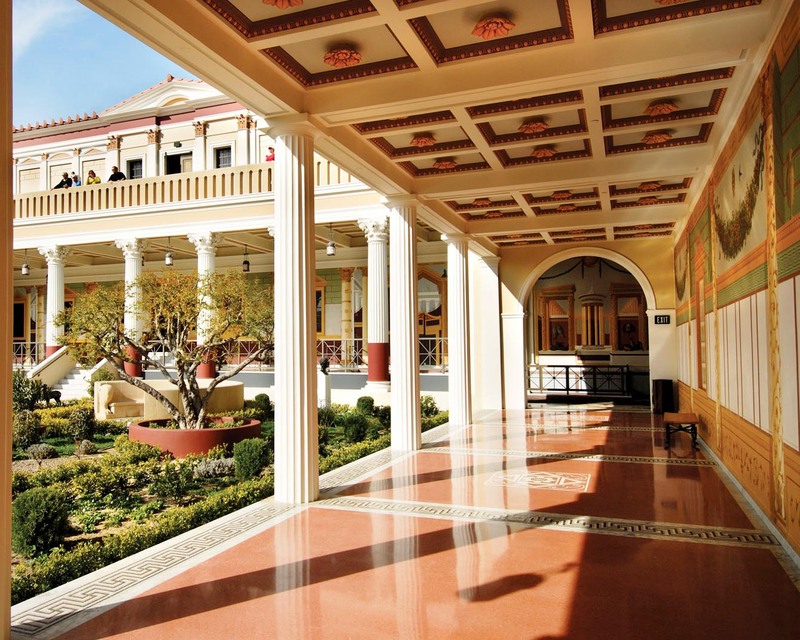 Through a comparative and parallel use of papyrological and numismatic materials, the paper analyses the processes and the monetary reforms at play behind the Roman "hyper-inflation" of the mid-4th century CE, a century during which prices rose by a facto of 50,000. 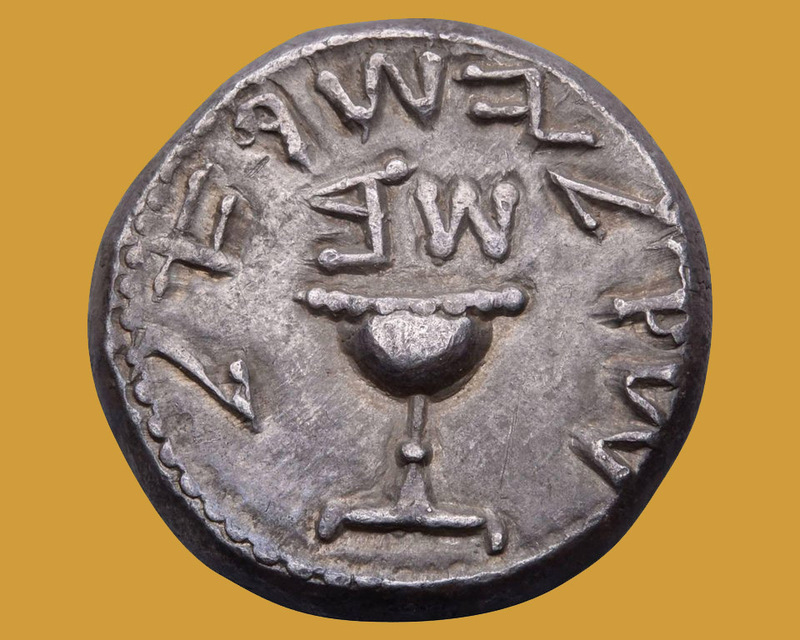 The Fel Temp Reparatio coinages that marked the 1100th birthday of the Urbs in 348 brought inflation to its climax, with prices jumping about twenty-fold a in matter of two or three years in 351-354. 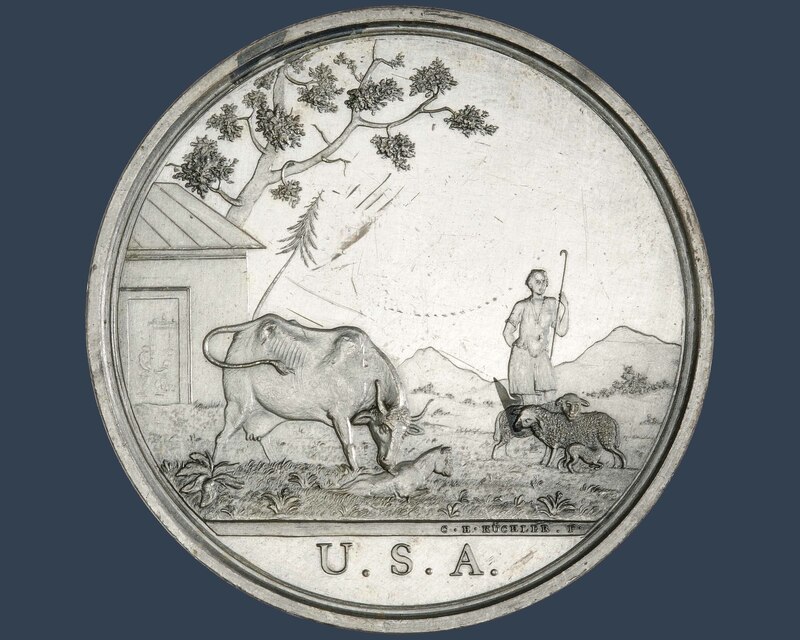 A parallel increased supply of silver coinage was allowed by the removal of silver from the existing billon coinage. 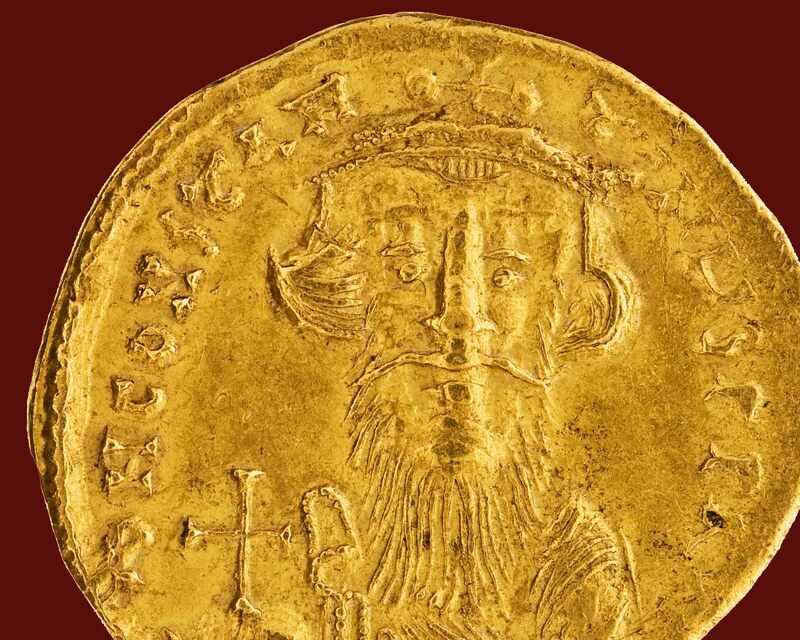 These mutations led ultimately to the bimetallic gold:bronze bullion-based price system that defines the later Byzantine period. The Metcalf Festschrift has Arrived! 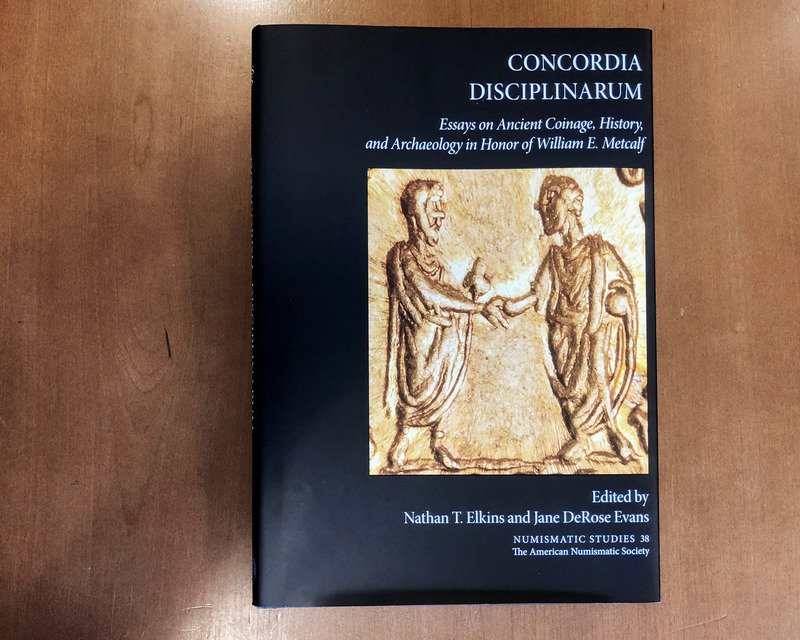 Concordia Disciplinarum: Essays on Ancient Coinage, History, and Archaeology in Honor of William E. Metcalf (Numismatic Studies 38) is here and ready to order. 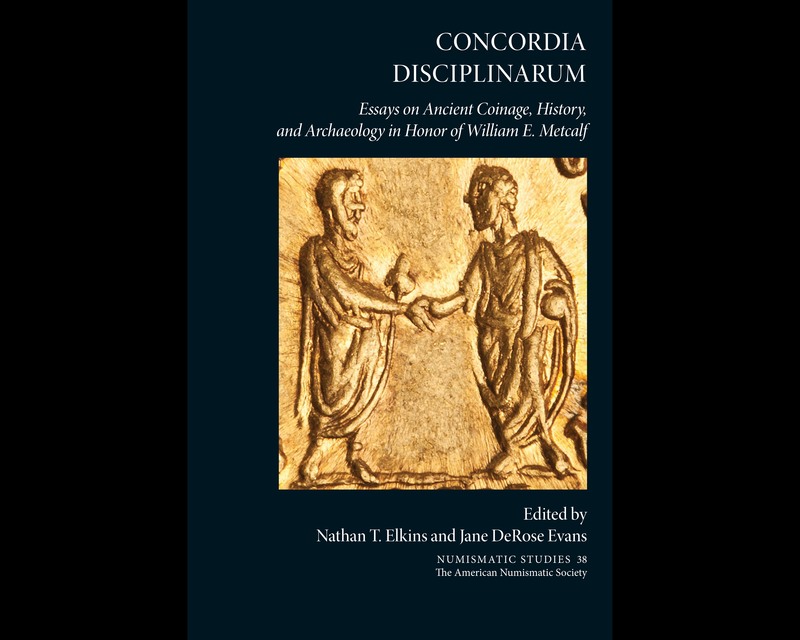 The Festschrift, edited by Dr. Nathan Elkins and Dr. Jane DeRose Evans, contains 20 new papers mostly on ancient Roman coinage by Metcalf’s colleagues. Click here to learn more and to purchase. It’s Time to Subscribe to JEAN Again! Make sure to subscribe now for JEAN’s sophomore year! 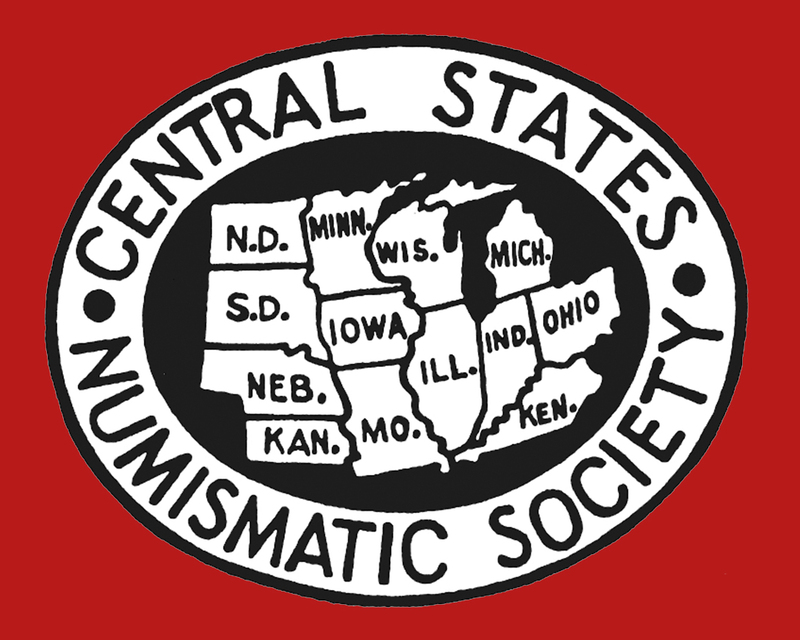 Since 1960, The Colonial Newsletter has published studies focusing on the study of the coinages produced by the states during the Confederation period of the United States. 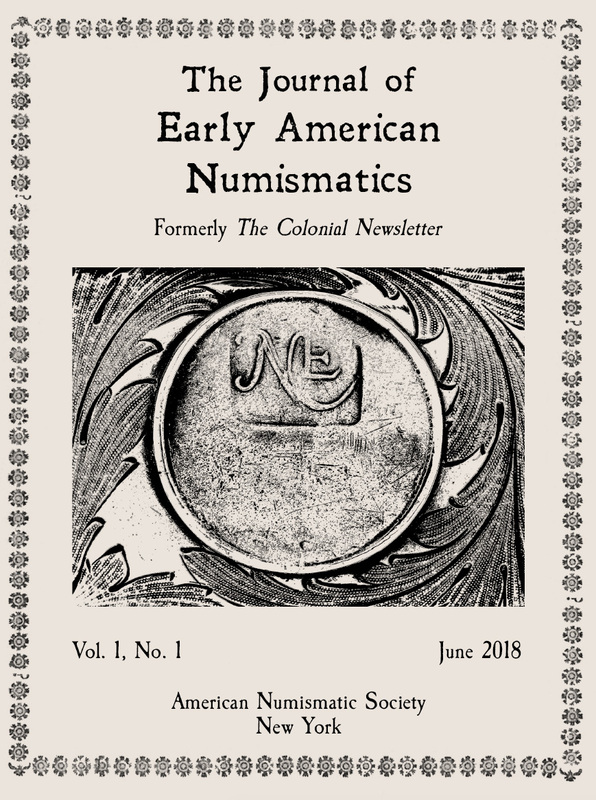 In 2018 we expanded the focus to include all of the Americas and converted it to 240-page journal, creating the Journal of Early American Numismatics. Subscribe for 2019 now. 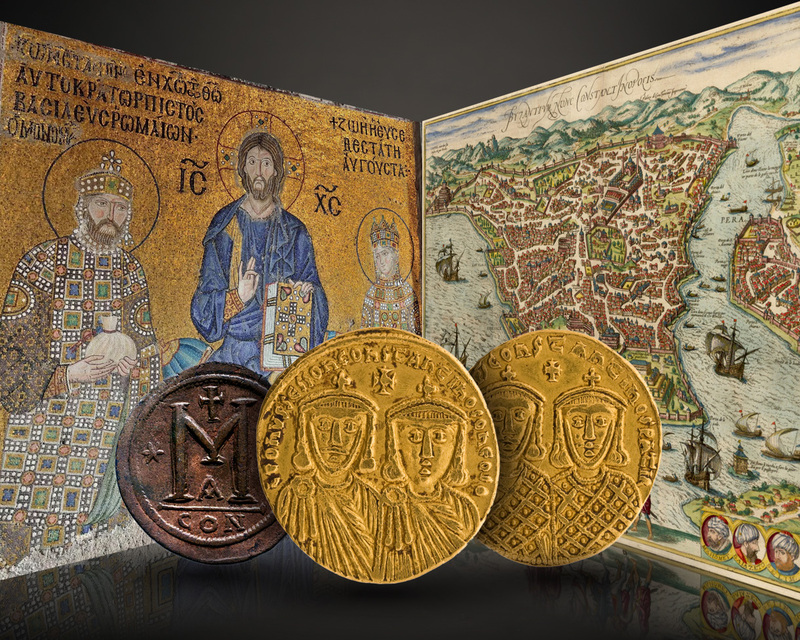 Join Donald Squires on March 9 for Reading Byzantine Coins. 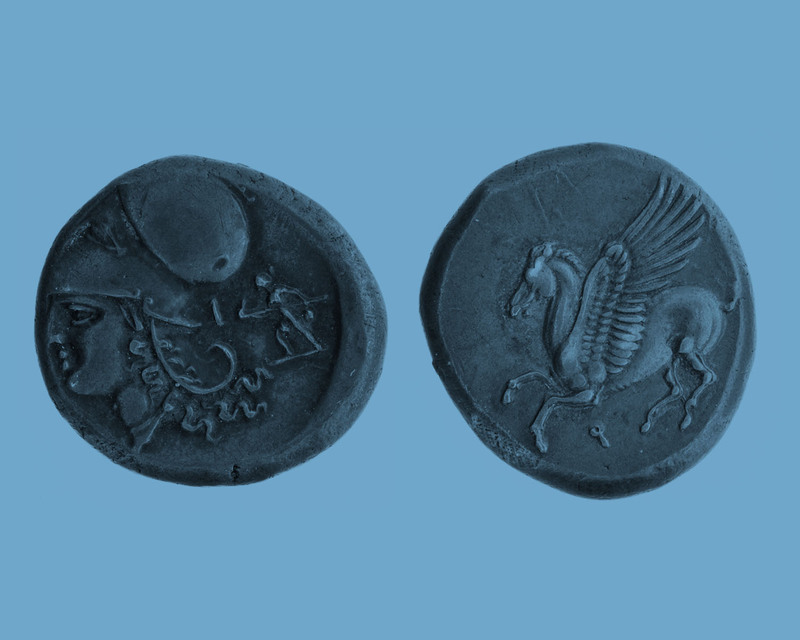 With Latin, Greek, or both and written in a mixture of the Greek and Roman alphabets, the inscriptions on Byzantine coins can be tricky to decipher. 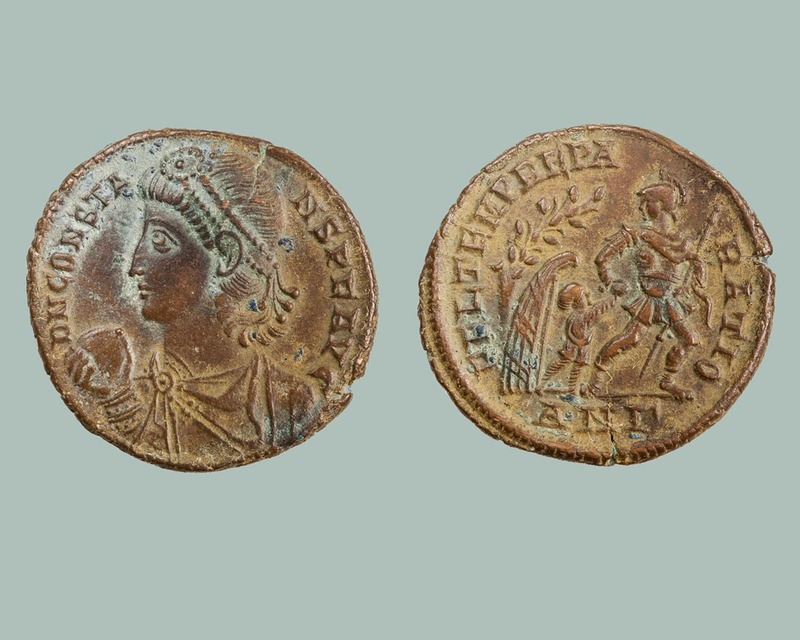 Providing a guide to the interpretation of Byzantine coin inscriptions, this talk will analyze a variety of coins. 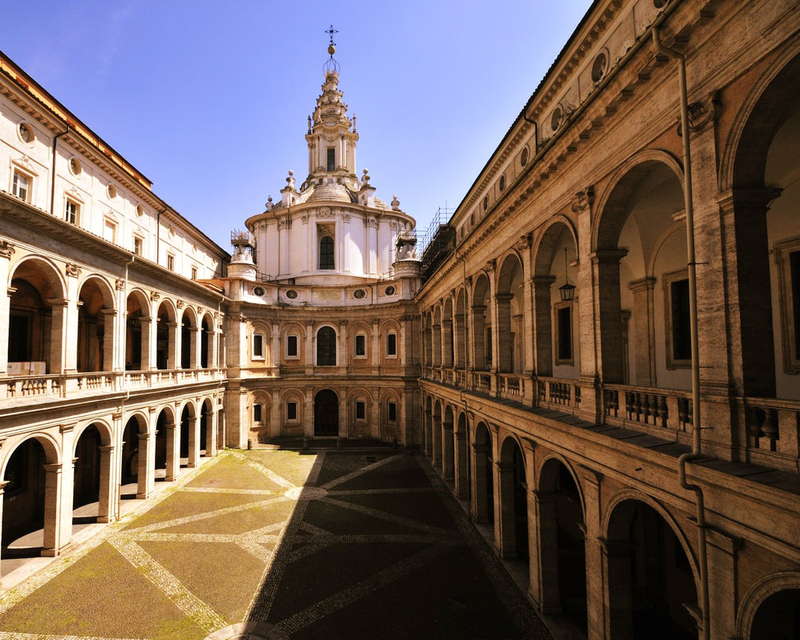 No prior knowledge of Latin or Greek is required. More.. The Gala was a Success! 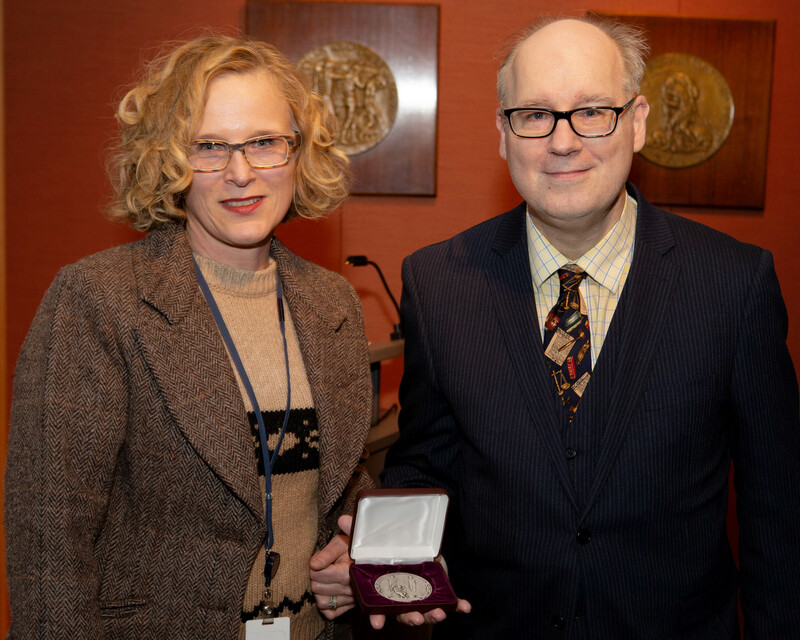 ANS Fellow Dr. John Kleeberg received the 2018 Archer M. Huntington Award on December 4, 2018. 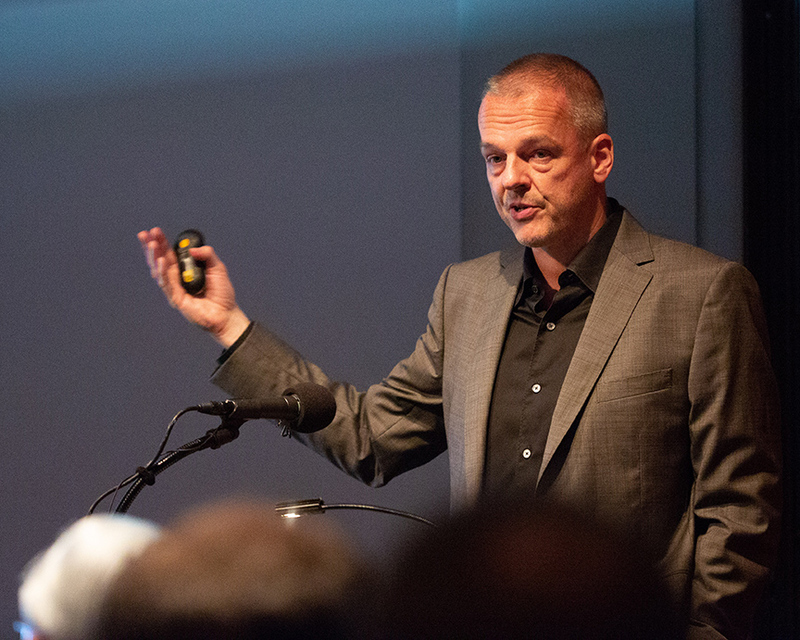 Dr. Kleeberg also gave the 2018 Silvia Mani Hurter Memorial Lecture: “Dr. 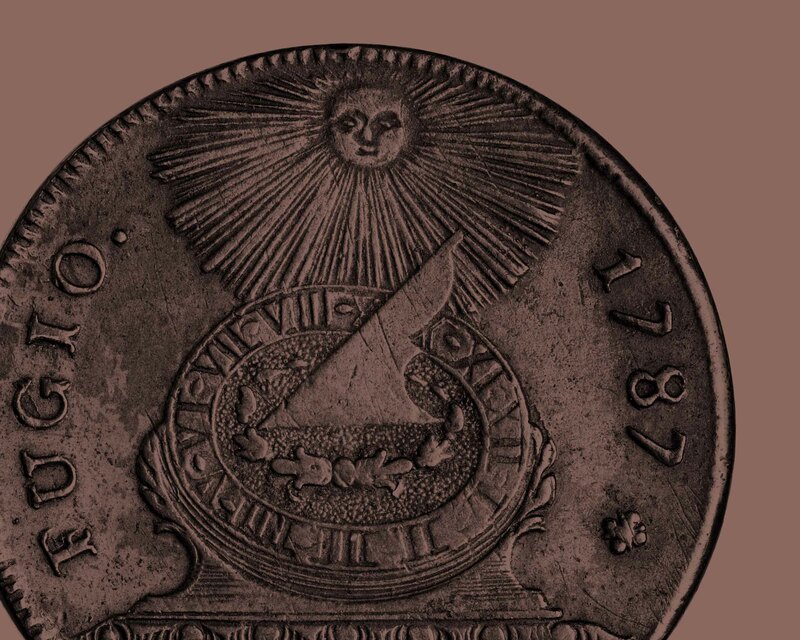 William H. Sheldon, Ted Naftzger, and the Large Cent Thefts” which is now available on Youtube. 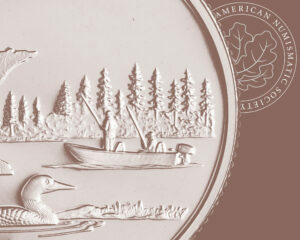 Read about the Archer M. Huntington Award. The 2018 Money Talks season ended on a high note! 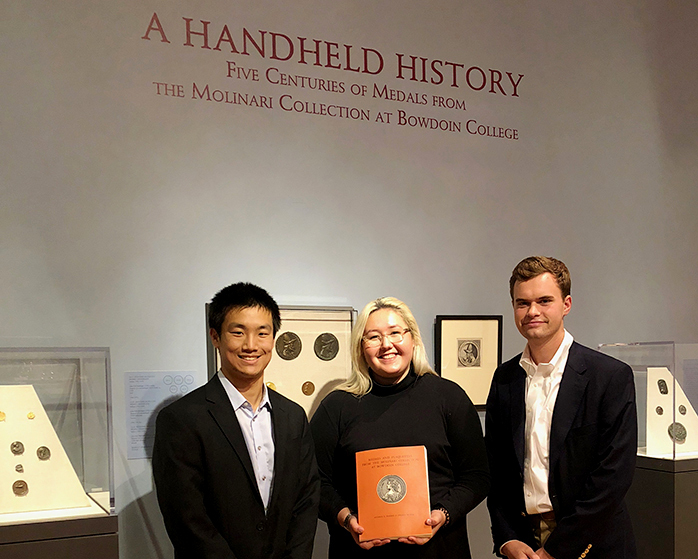 On December 8, Alex Conison, who holds a PhD on the ancient Roman wine trade and is the senior brand manager for Jose Cuervo USA, and MJ Macamara, PhD candidate in classics and NYC chef, with our Deputy Director Dr. Gilles Bransbourg, presented an edible history of ancient Rome. 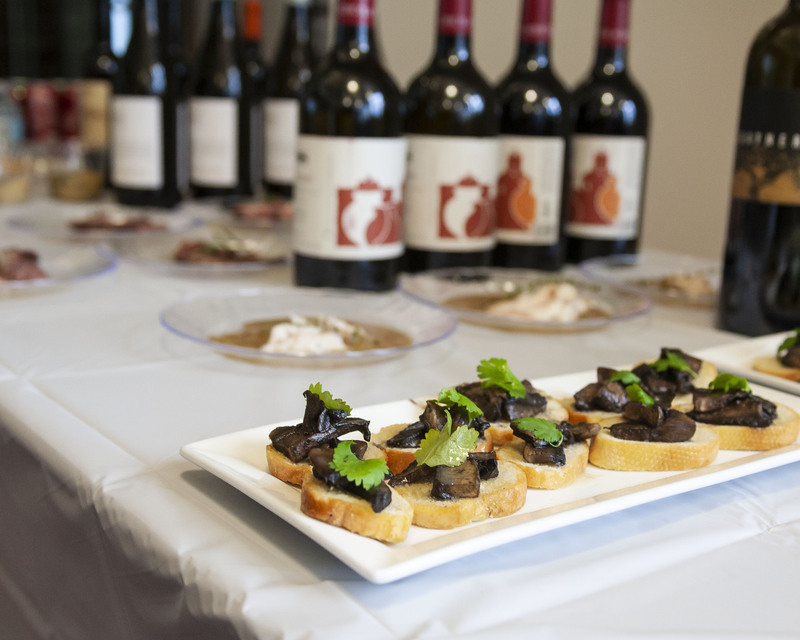 Ms. McNamara prepared food using ancient Roman recipes, with wine of the ancient world selected by Dr. Conison. 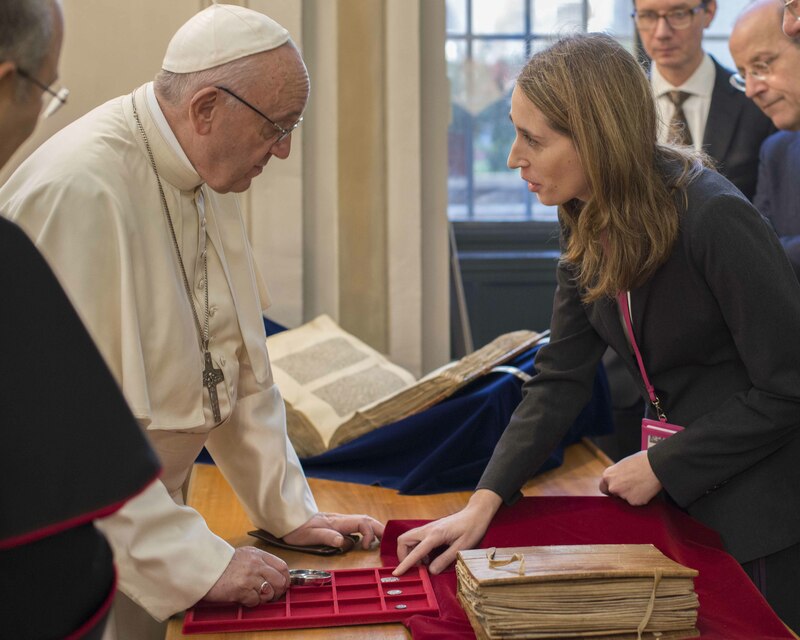 Eleonora Giampiccolo, Summer Seminar Class of ’07 and current Director of the Numismatic Department at the Vatican Library, greeted Pope Francis when he visited the library to see a selection of three coins cited in the Bible; a shekel of the mint of Tyre, a Roman denarius, and a prutah of Pilate. 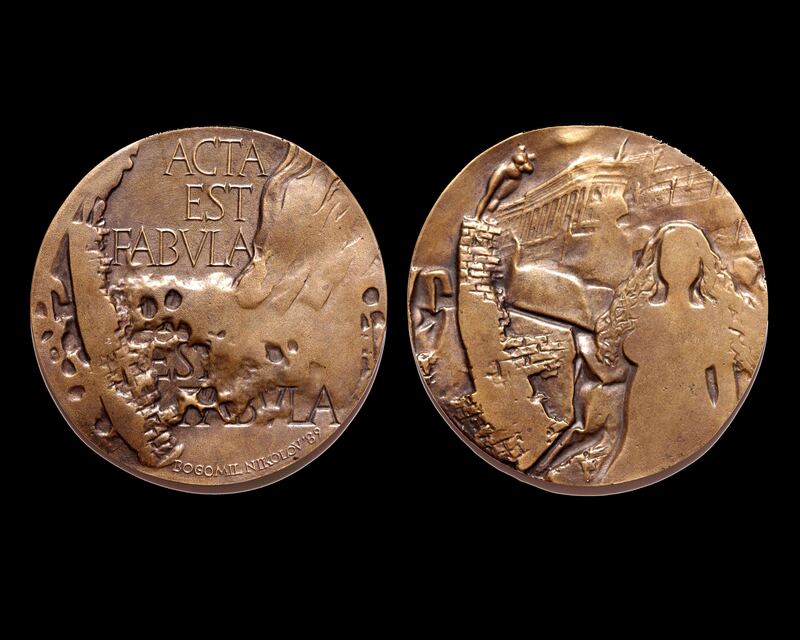 Pope Francis was most interested in the prutah—the coin quoted in one of his favorite Gospel readings, The Offering of the Widow (Mark 12:41–44), in which a poor widow gives everything she has to the temple in the form of two very small copper coins. 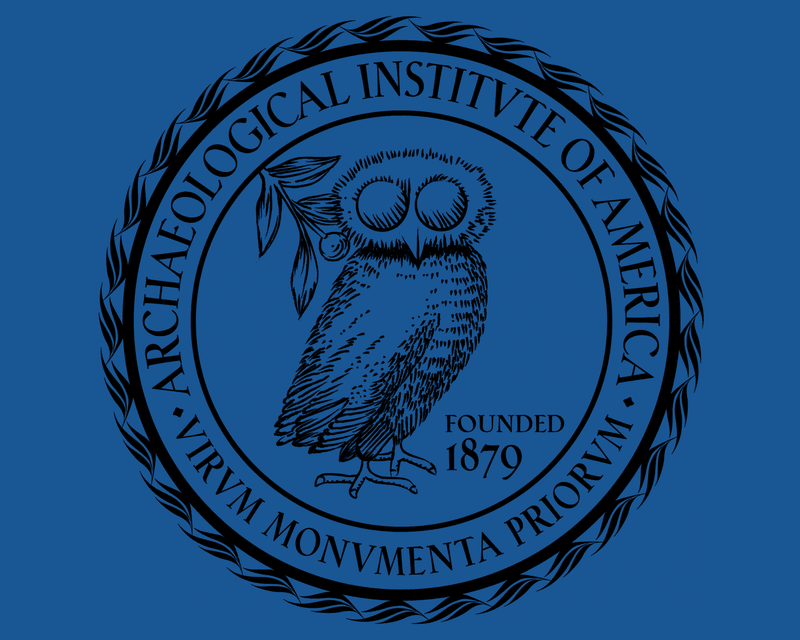 On January 5, Associate Curator David Yoon presented a paper (co-authored with Sara T. Levi and Valerie Long) at the annual meeting of the Archaeological Institute of America, entitled "Roman and Medieval Activity at the Site of San Vincenzo, Stromboli." 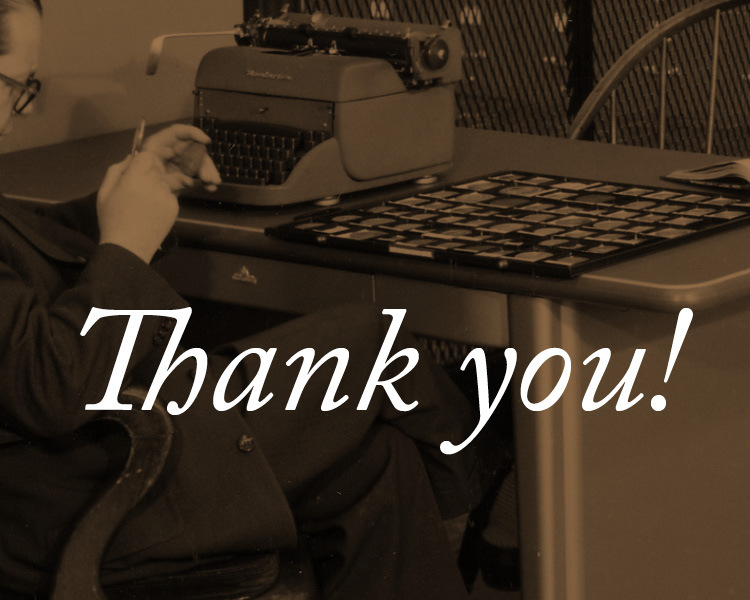 The Year-End Appeal was a success! Thank you to everyone who contributed. 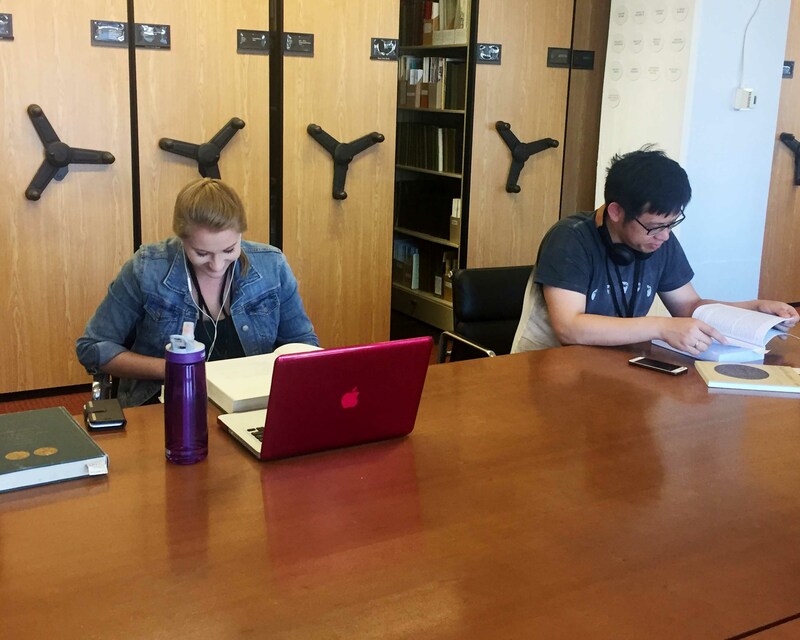 The work undertaken here at the ANS would not be possible without your generosity! 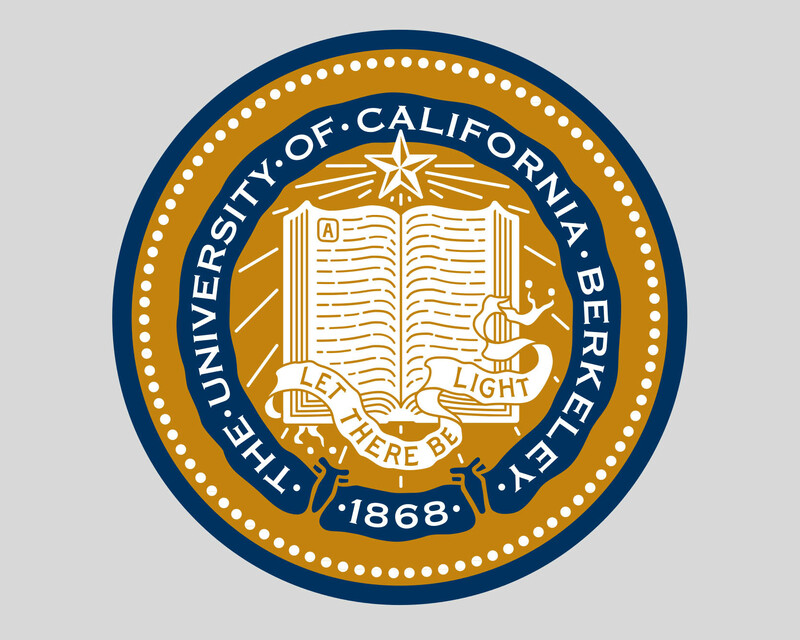 Ticket and table prices are now available for the 2019 Annual Gala Dinner honoring our former First Vice President, Mike Gasvoda. 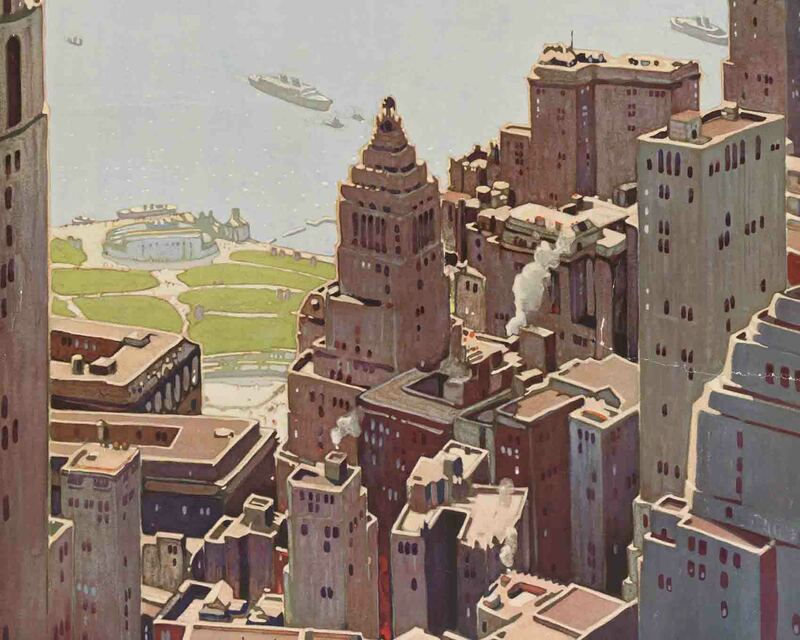 The Gala will take place on Thursday, January 10, 2019, at the Harvard Club, 35 West 44th Street, New York City. Cocktails begin at 6:30 and Dinner and Program at 7:30. See the full Press Release. The Year End Appeal is Now On! 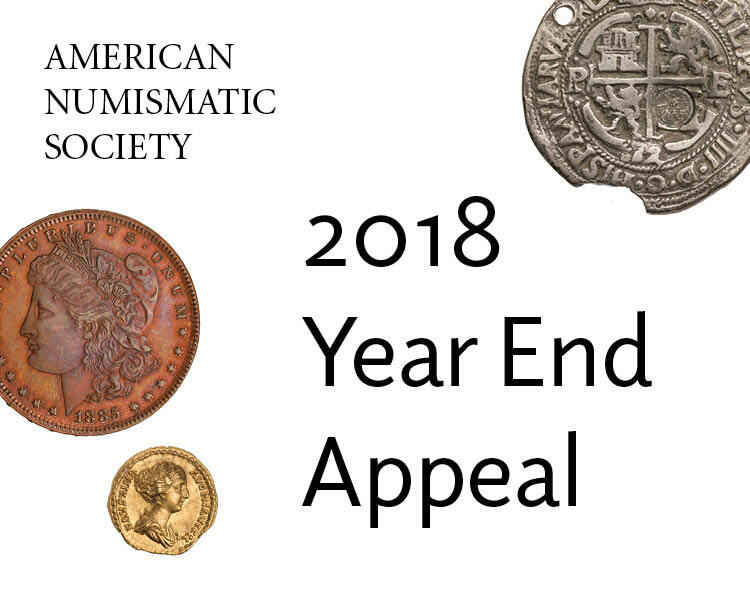 As 2018 draws to a close, we ask all of you who share our passion for numismatics to make a donation to the ANS. 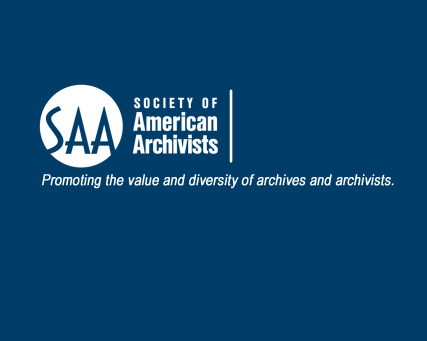 Your contributions mean more than ever to the Society. 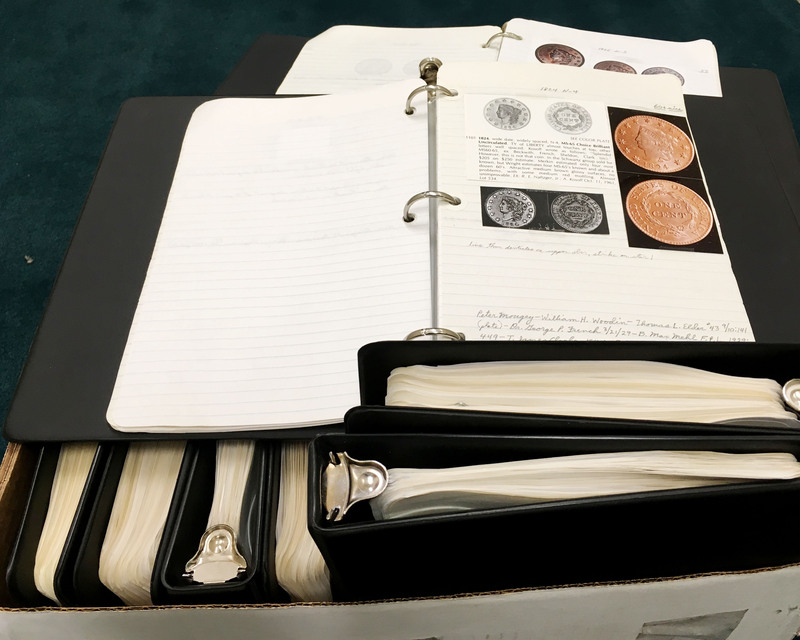 A small gift that helps us keep the lights on or covers the cost of photographing a coin is just as necessary as one that allows us to publish a book or sponsor a curator’s research. All these donations add up to make possible our many and varied projects. 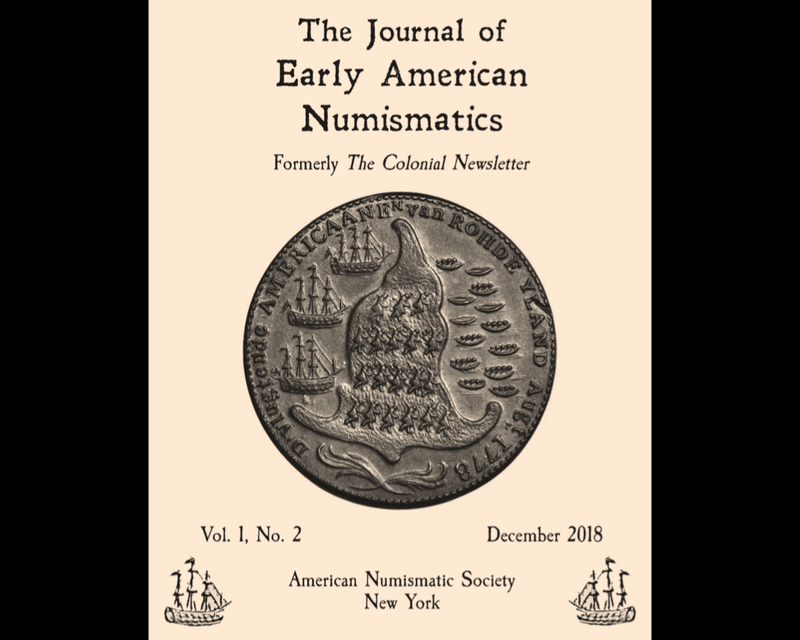 The second issue of the Journal of Early American Numismatics (JEAN) will be published for subscribers at the end of 2018. 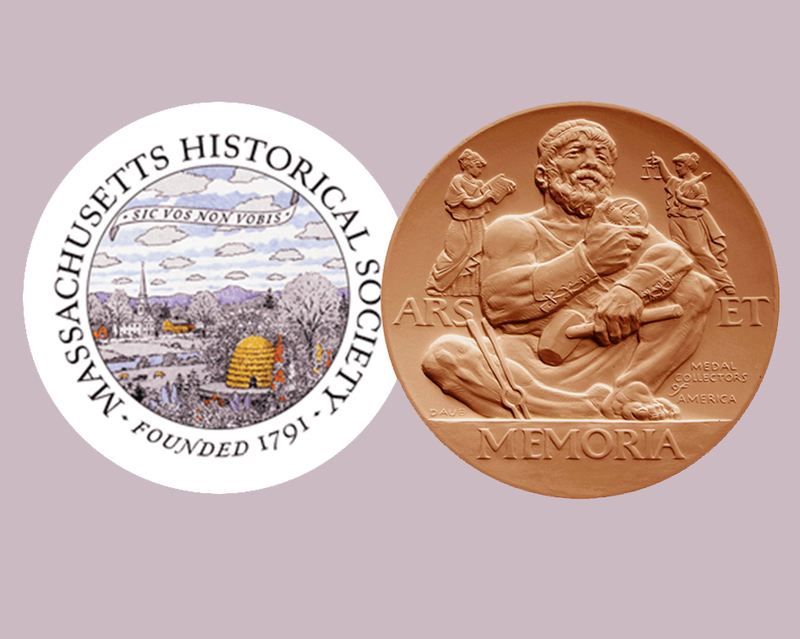 Contents include: Gary A. Trudgen, "Walter Mould: Convicted Felon,” "The People vs. Counterfeit Coppers,” and "Samuel Atlee’s New York City Brewery and Mint;” David D. Gladfelter, "From Little Acorns”; Christopher R. McDowell, "A New Look and Fresh Theory on the Origins of the Rhode Island Ship Medal”; and John M. Kleeberg, "The Continental Dollar: British Medals or American Coins?” To subscribe or to renew your subscription for 2019 please contact Emma Pratte at 212.571.4470 x117 or by email at membership@numismatics.org. 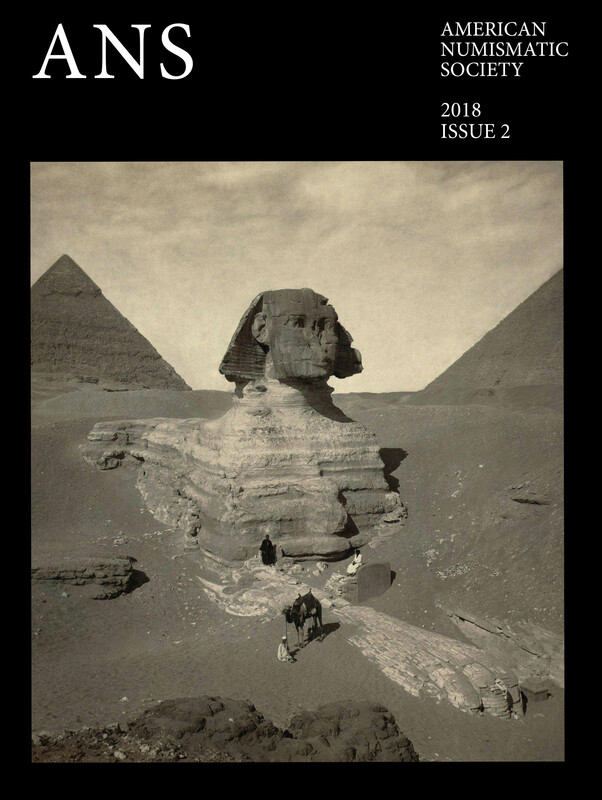 ANS Magazine’s fourth issue of 2018 is at the printer and will arrive in Members’ mailboxes before year’s end. 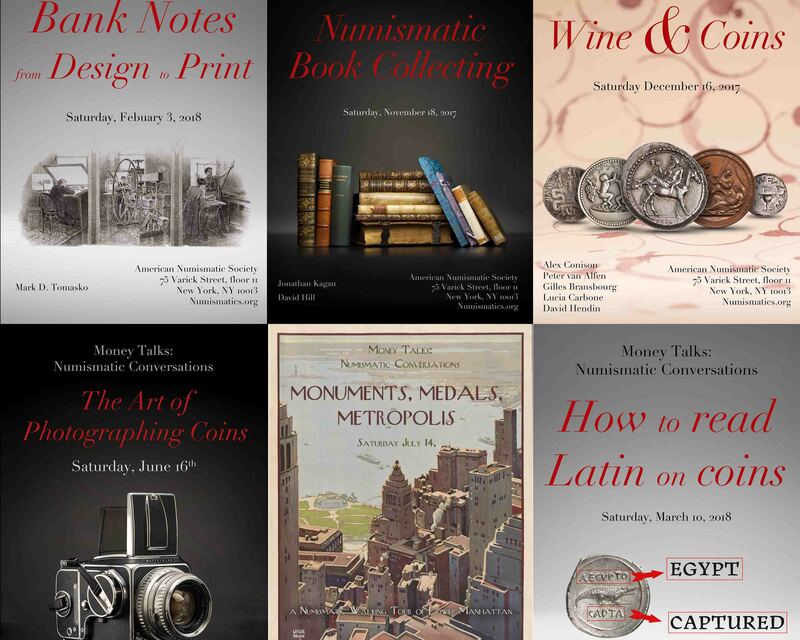 Features include “Amicus to Domus: Analyzing Agrippa’s Relationship to Augustus through Coinage,” by Thomas Foster; “The Cartier Papers: The Birth of a Numismatic Journal in Nineteenth-Century France,” by Sarah Busschaert; “Jules Éduard Roiné, Medals in Books, and the Birth of the Medallic Art Company,” by David Hill; and “Rescuing American Heritage: The ANS Acquires the Archives of the Medallic Art Company,” by Ute Wartenberg. 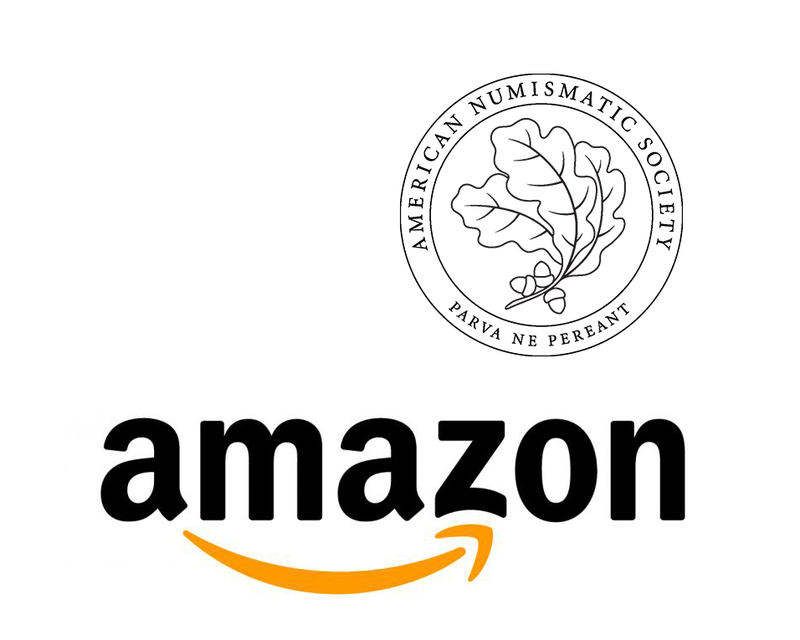 AmazonSmile is a simple and automatic way for you to support the ANS every time you shop, at no additional cost to you. When you buy your holiday gifts at smile.amazon.com, Amazon will donate a portion of the purchase price to the ANS! Version 2 of SCO is now live! 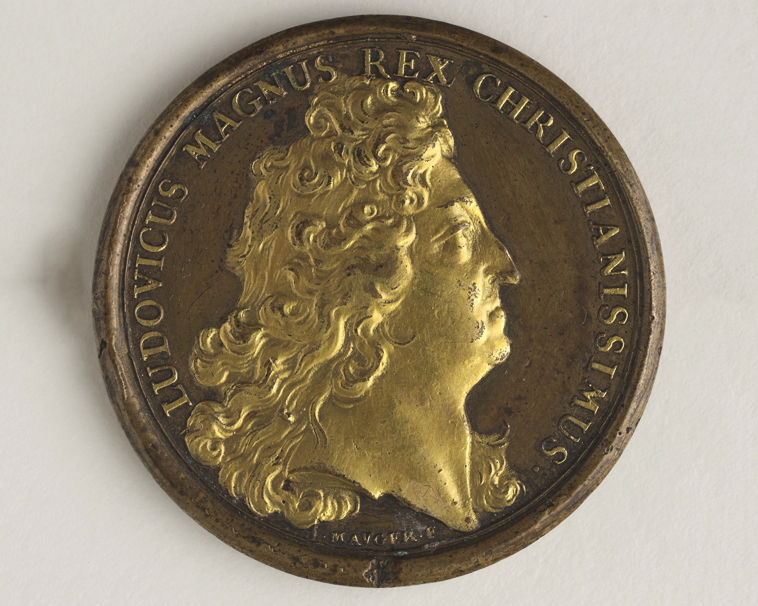 The ANS recently acquired the archives of the Medallic Art Company (MACO). 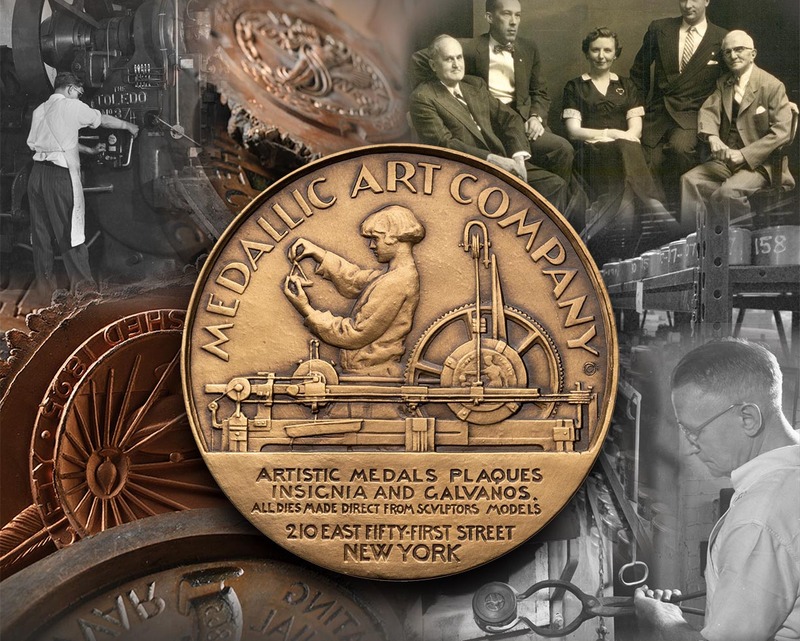 MACO was founded in New York City in the early 20th century­, and for more than a century it produced the work of America’s finest artists. 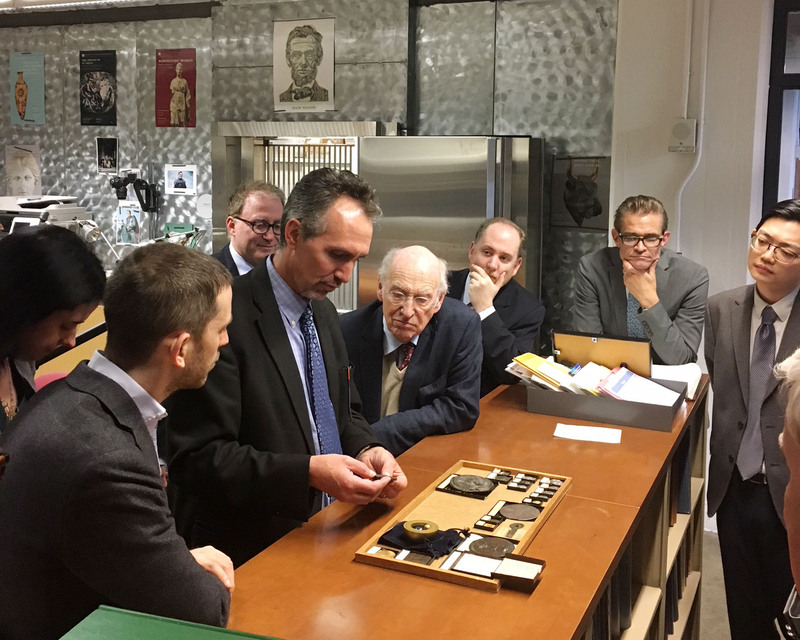 On November 17, Dr. Ute Wartenberg and Chief Curator Dr. Peter van Alfen spoke about the acquisition and gave attendees an up-close look at the MACO medals, dies, galvanos, and records. 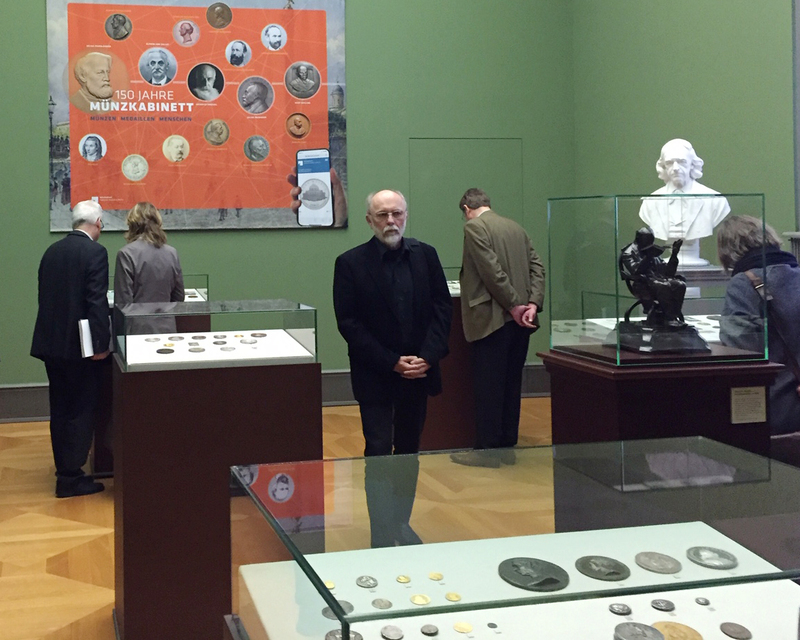 Dr. Wartenberg represented the ANS the 150th Anniversary of the Münzkabinett of the Staatliche Museen zu Berlin—a colloquium and official ceremony held on November 22 in Berlin that was attended by over 100 guests. 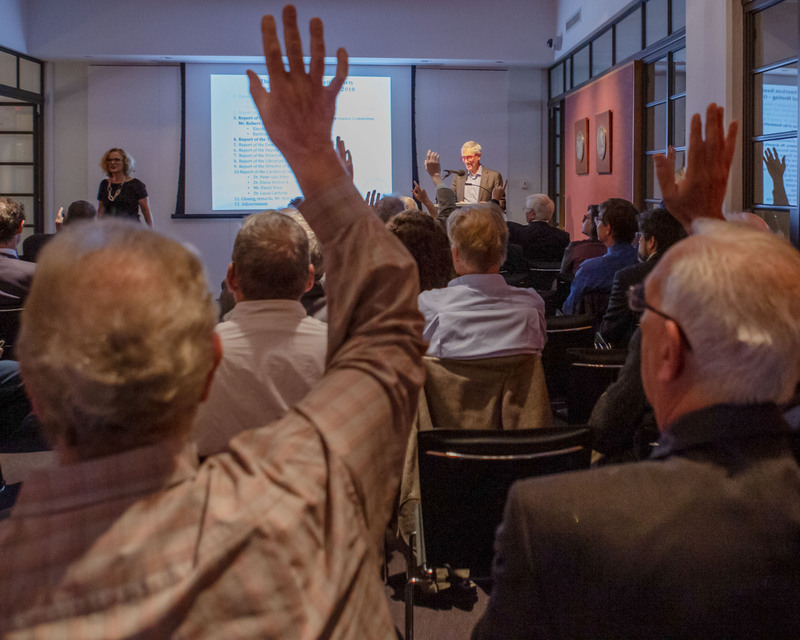 During the day of celebration various speakers discussed the history of the museum and its extraordinary collections. 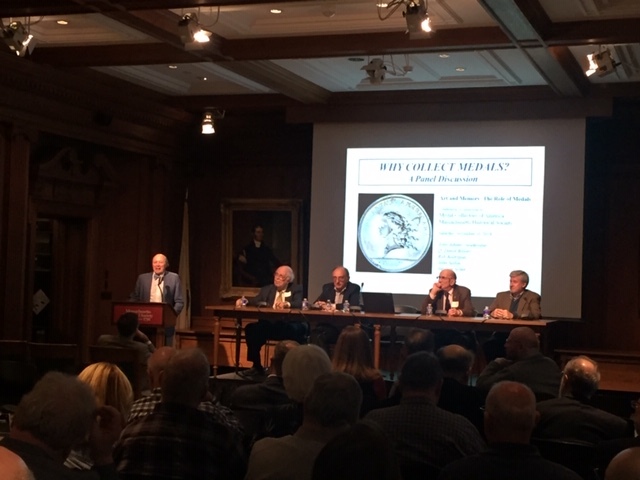 The Medal Collectors of America and the Massachusetts Historical Society (MHS) hosted “Art and Memory: The Role of Medals” at the MHS headquarters in Boston on November 10. 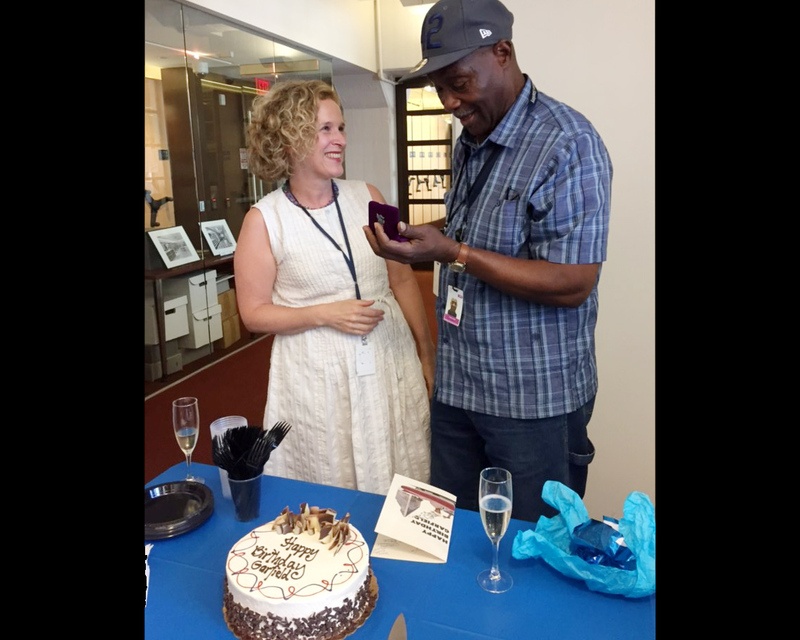 Many ANS associates spoke on the role of medals in American history including Ute Wartenberg, Robert Hoge, and John Adams. 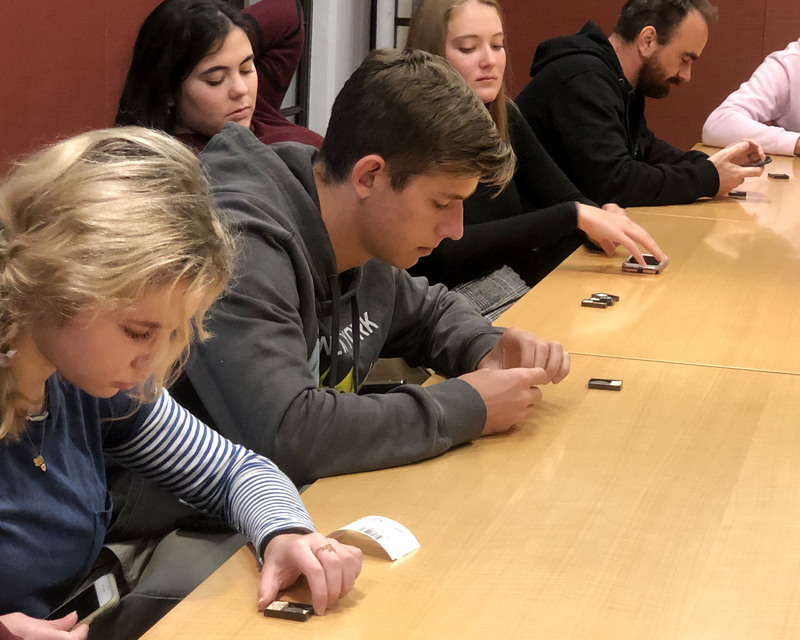 On November 7 a group of 22 students from Riverdale School visited the ANS. 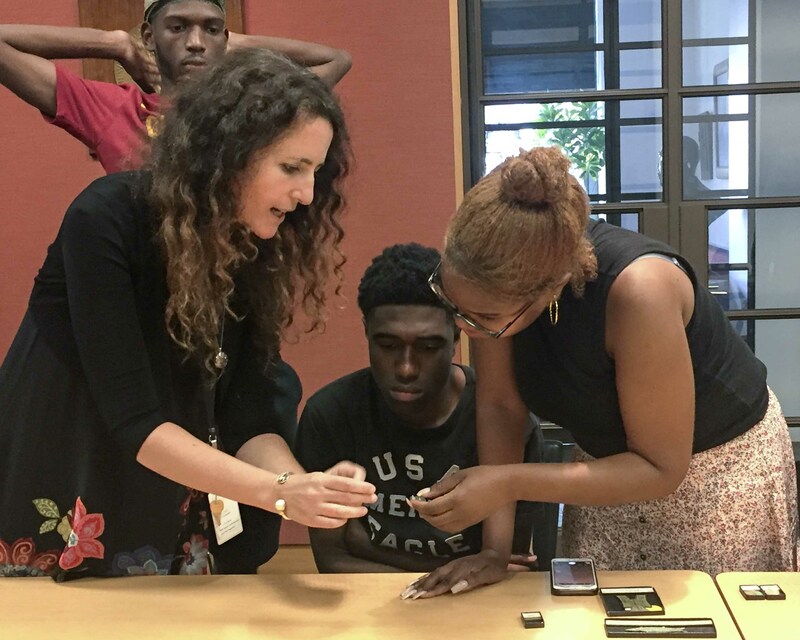 The students were accompanied by their Latin teachers and were introduced to the coinage of Caesar and Augustus by Dr. Lucia Carbone, Assistant Curator of Roman coins. 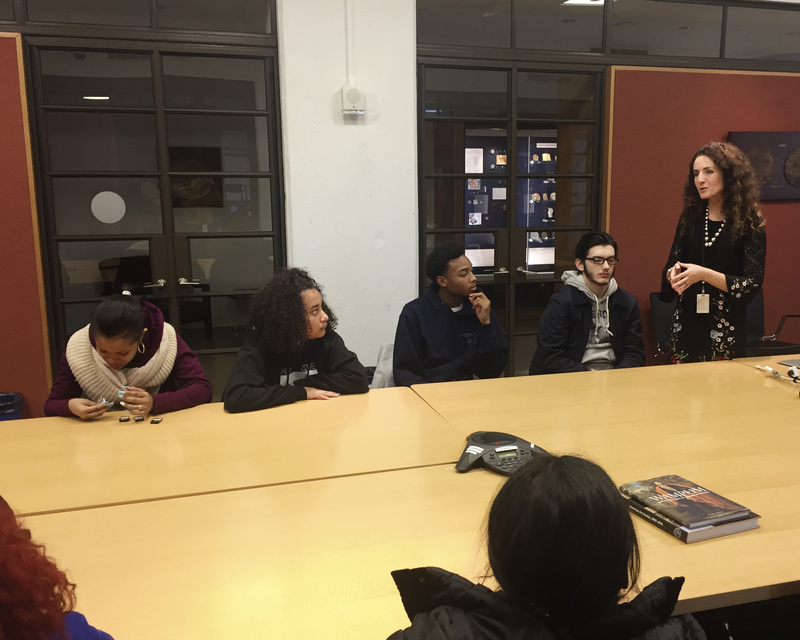 Another group of ten students, this time from the Bronx School of Law and Finance, visited ANS on November 20. 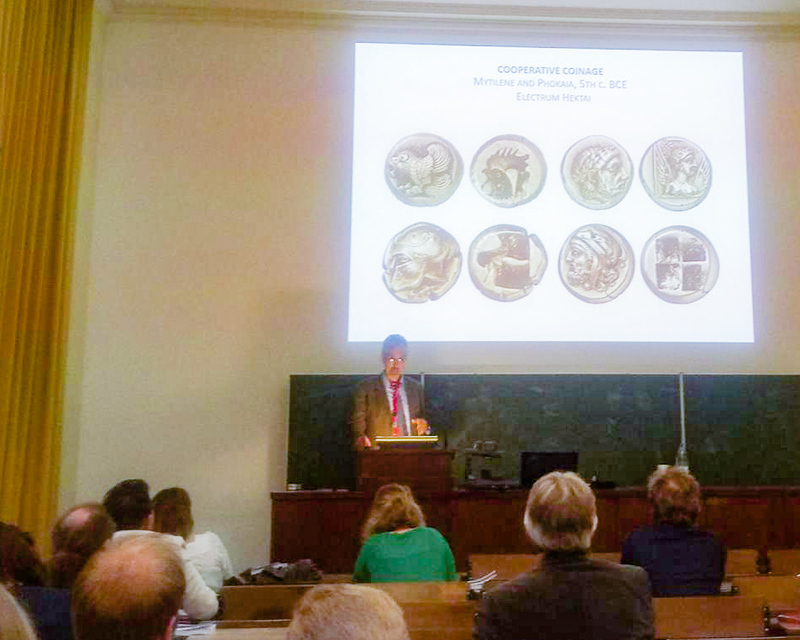 Dr. Peter van Alfen introduced the students to the history of ANS and guided the group through the premises of the Society, while Dr. Carbone presented an overview on the history of Roman coinage. 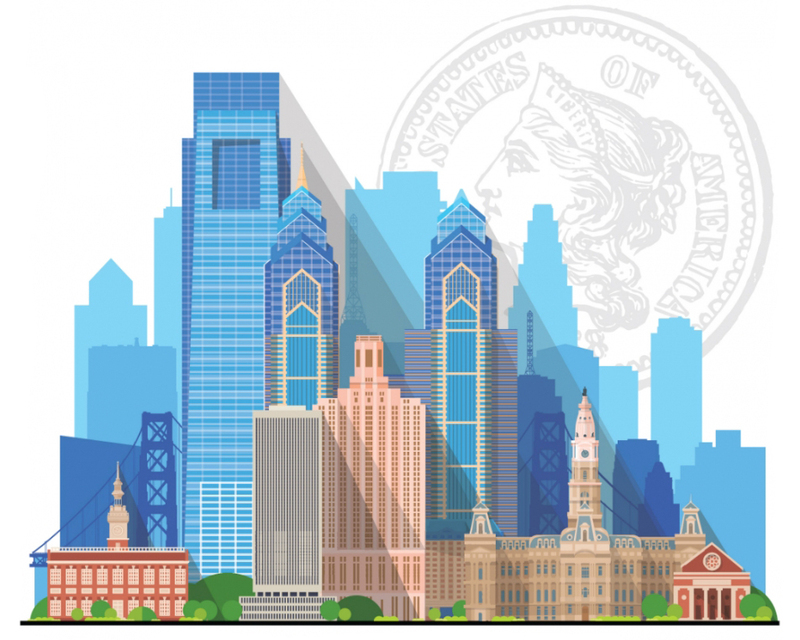 Ticket and table prices are now available for the 2019 Annual Gala Dinner honoring our former First Vice President, Mike Gasvoda. 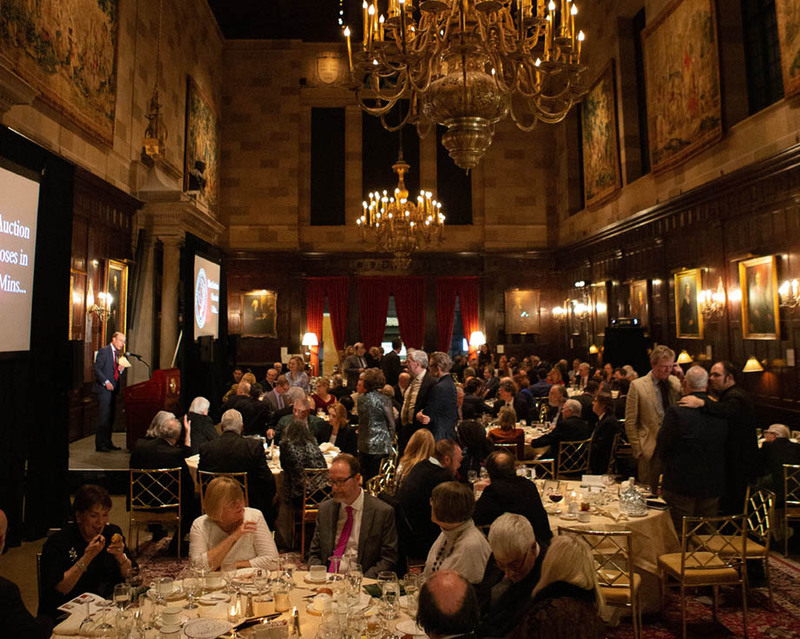 The Gala will take place on Thursday, January 10, 2019 at the Harvard Club, 35 West 44th Street, New York City. Cocktails begin at 6:30 and Dinner and Program at 7:30. See the full Press Release. 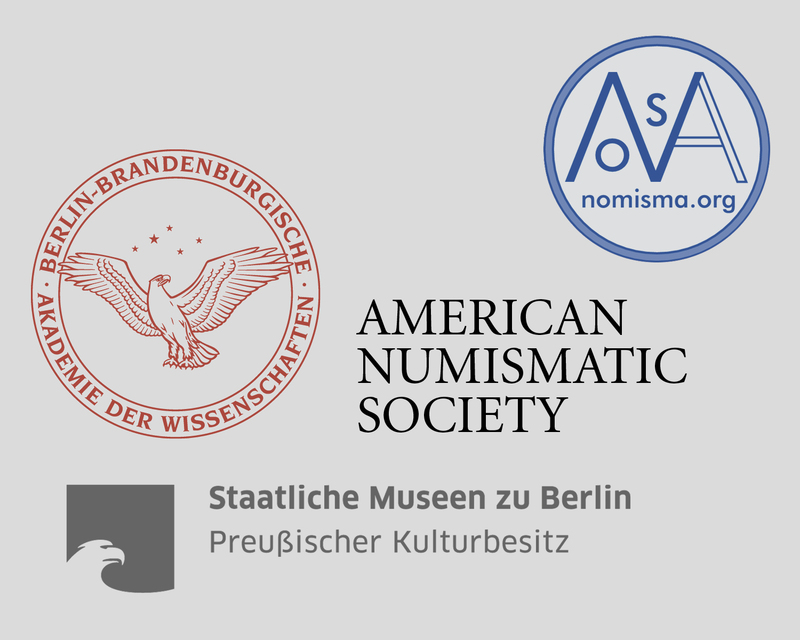 Dr. Wartenberg will be representing the American Numismatic Society at the occasion of the 150th Anniversary of the Münzkabinett of the Staatliche Museum zu Berlin. 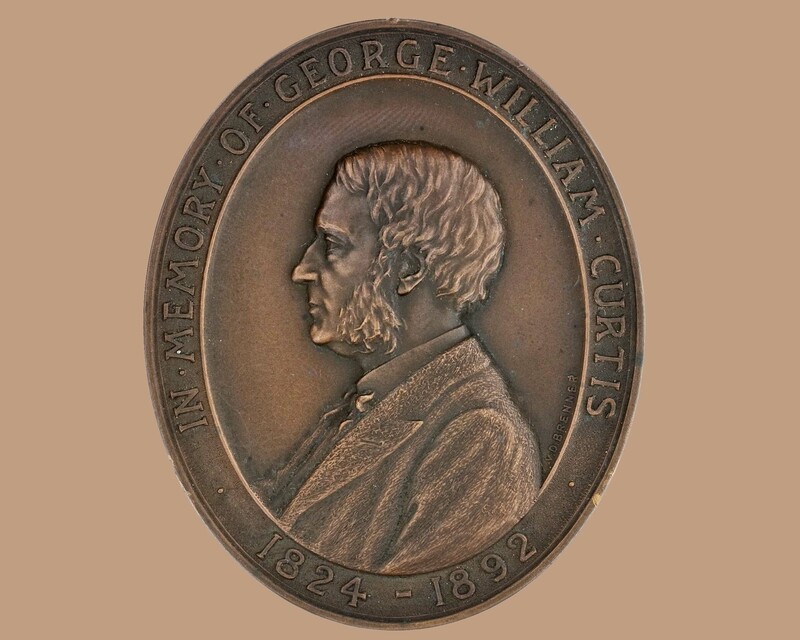 A colloquium and official ceremony will be held on Thursday, November 22, in Berlin, during which the history of the museum and its extraordinary collections will be illuminated. View Full Program. 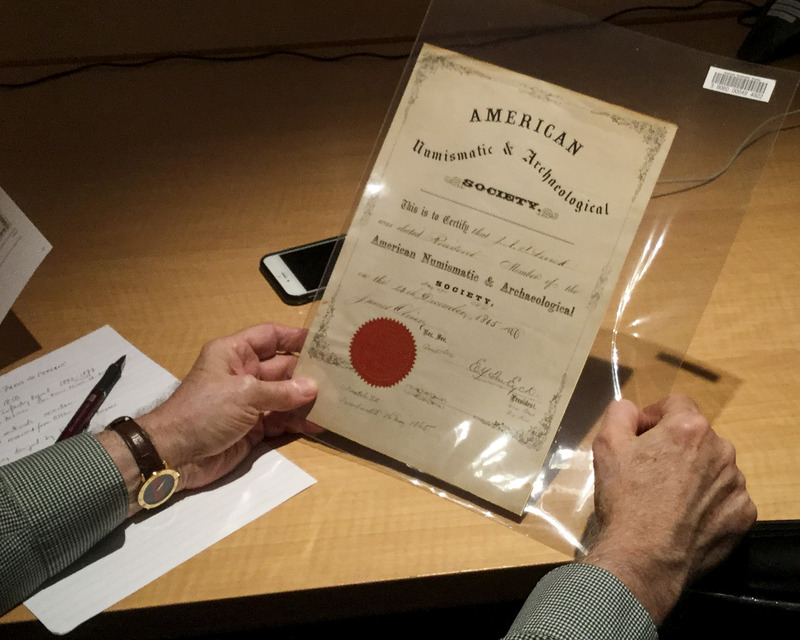 Librarian and Archivist David Hill welcomed a group of members for a look back at the ANS’s 160-year history. 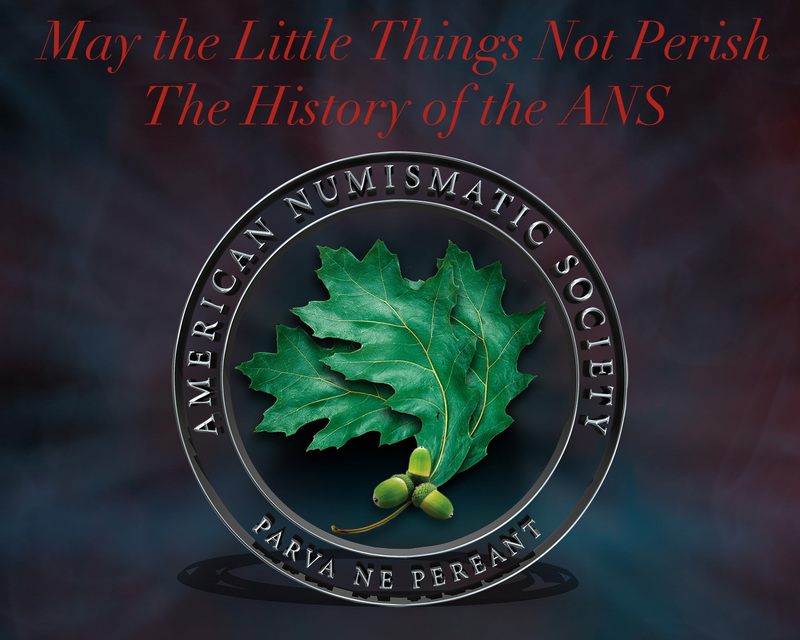 Beginning with the 1858 invitation letter sent out for the very first meeting of the American Numismatic Society, selections from the ANS Archives were passed around and discussed. 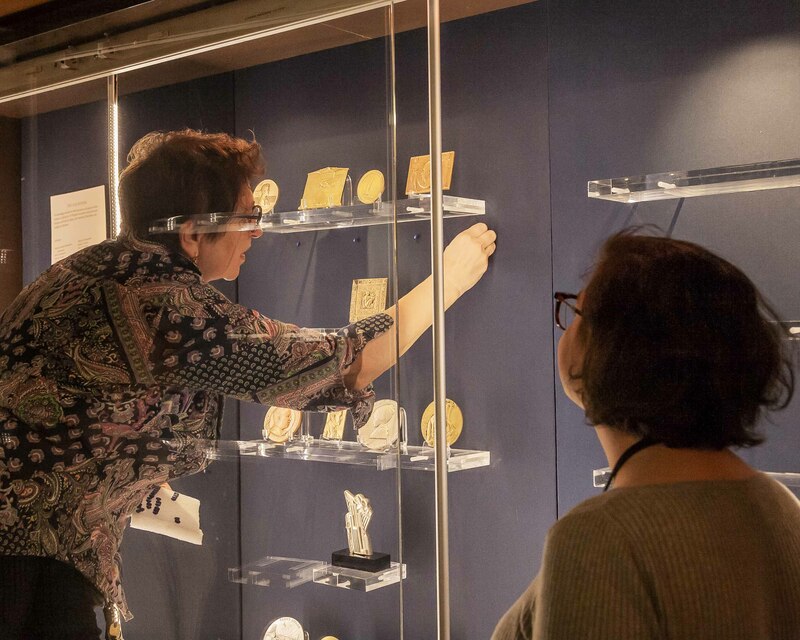 Collections Manager Dr. Elena Stolyarik and MACO Collection Manager Taylor Hartley curated a selection from the 2017–2018 acquisitions for exhibition at the ANS office, featuring MACO medals, and coins and banknotes. Thank you to all of our donors. 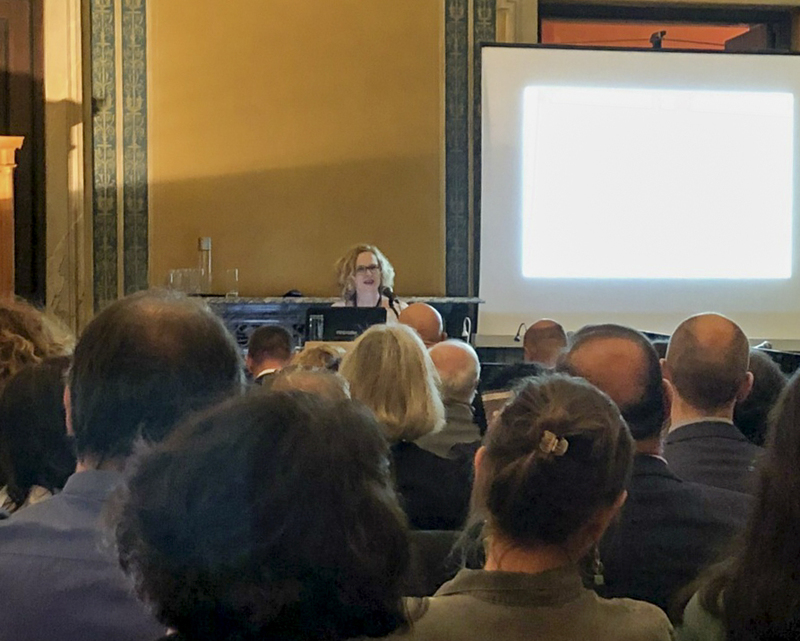 Ute Wartenberg delivered the keynote address at the XXV Annual ICOMON Meeting on “Future-proofing Numismatics in Museums: Issues of Conservation and Collection Management” held on October 3-6 at the Numismatic Museum in Athens, Greece. 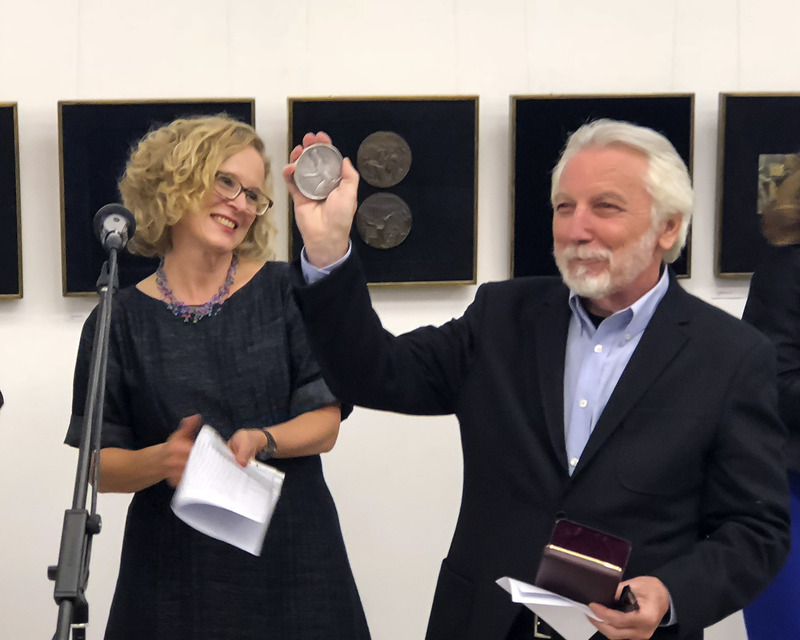 ANS Trustee Mary Lannin also presented “Women as Numismatic Curators: Equals in an Unequal World?” where she examined the role of women as curators in numismatic museums. 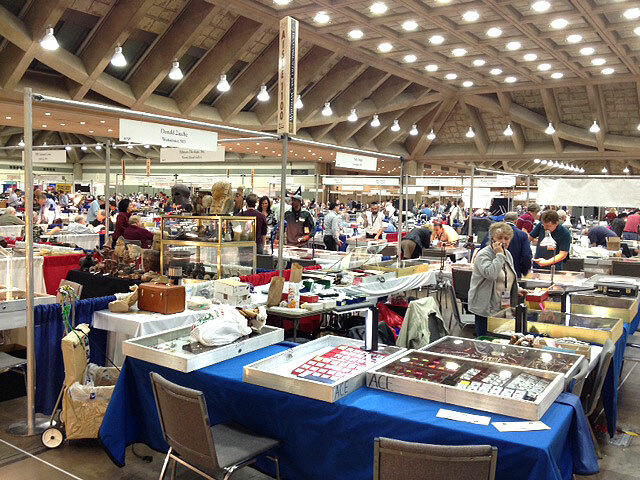 The 2018 Baltimore Winter Expo will take place from October 25-28. 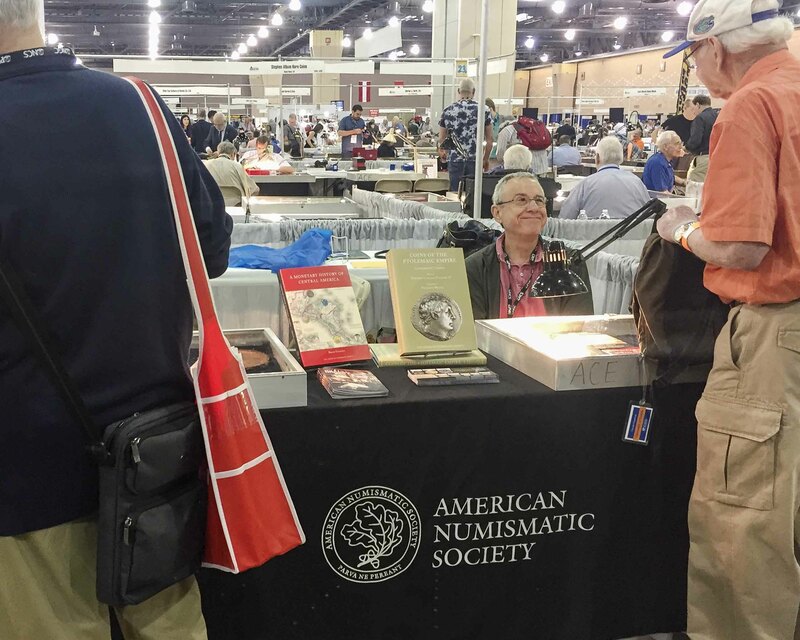 Stop by the ANS table to chat about coins, look over some books, and sign up your friend as a member! Gilles Bransbourg and Membership Assistant, Emma Pratte will be waiting to say hello. 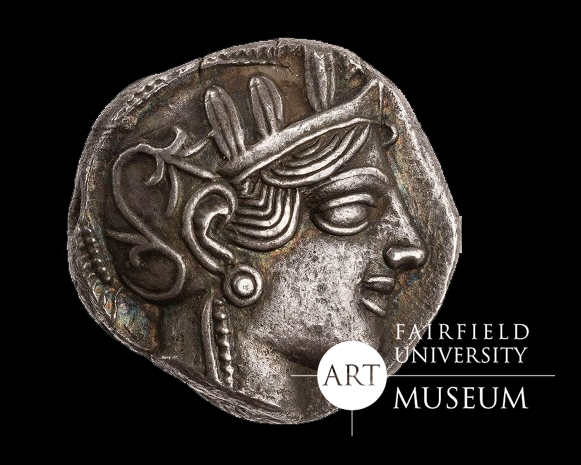 More..
Our Fall Money Talks line-up began with a bang with David Hendin’s Judean Coinage and Early Christianity. 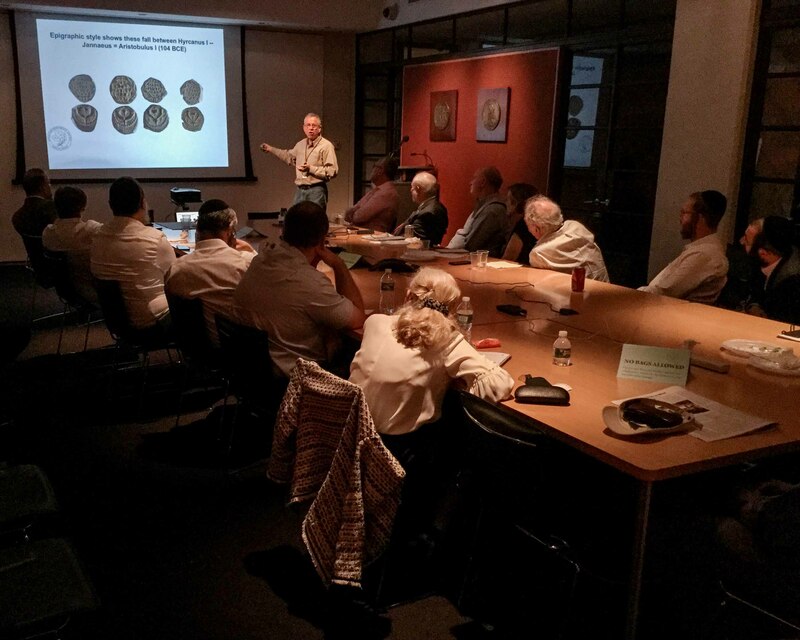 We were at max-capacity as Mr. Hendin discussed Jewish and ancient Christian coins in the context of archaeology and the experience of 50 years studying the coins and weights of the southern Levant—covering coins of Hasmoneans, Herodians, Prefects and Procurators of Judaea, and the First Revolt and the Bar Kokhba Revolt. 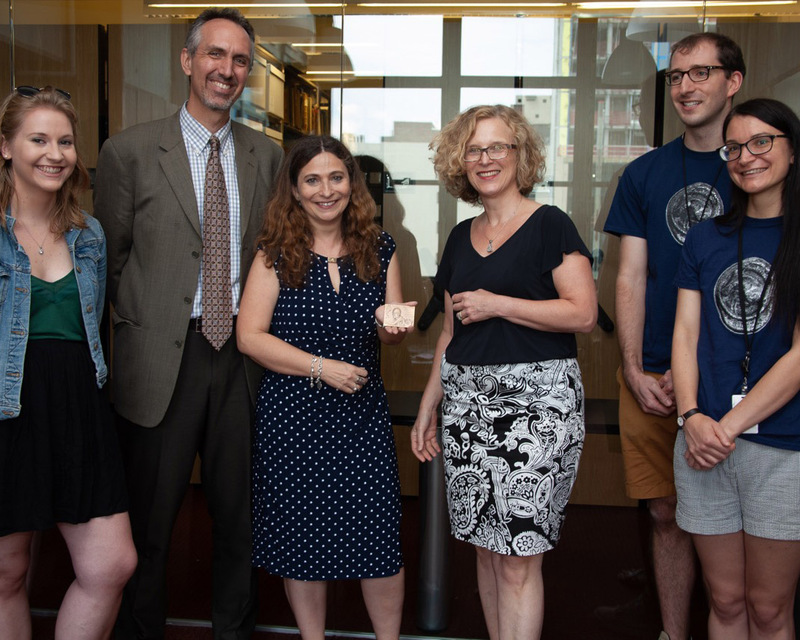 As a spin-off of the course ‘Roman coins and History’ taught by Edlow Family Assistant Curator of Roman Coins Lucia Carbone at Columbia University (CU), a group of five CU graduate students is cataloging the Olcott Collection. 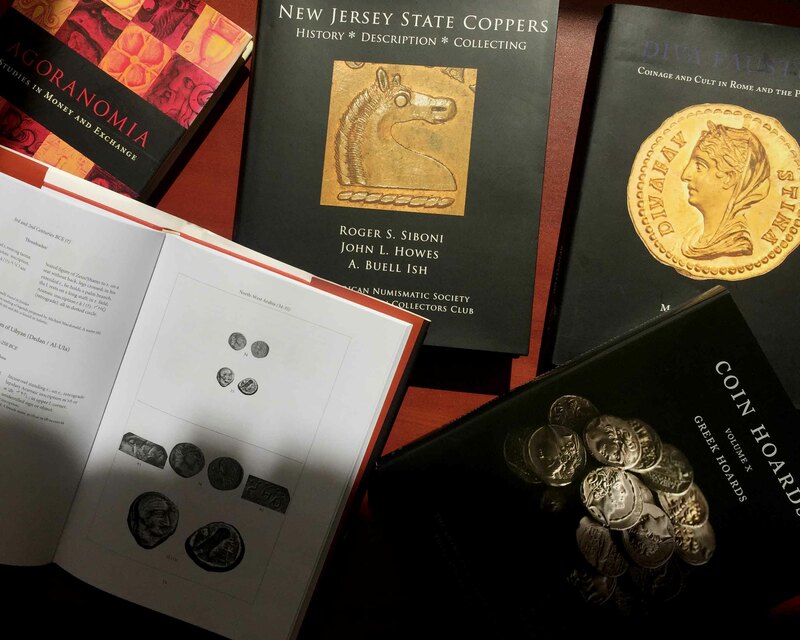 This collection, with over 3,000 Roman Republican, Imperial and Provincial coins, is held at Columbia’s Rare Book and Manuscript Library (RBML). 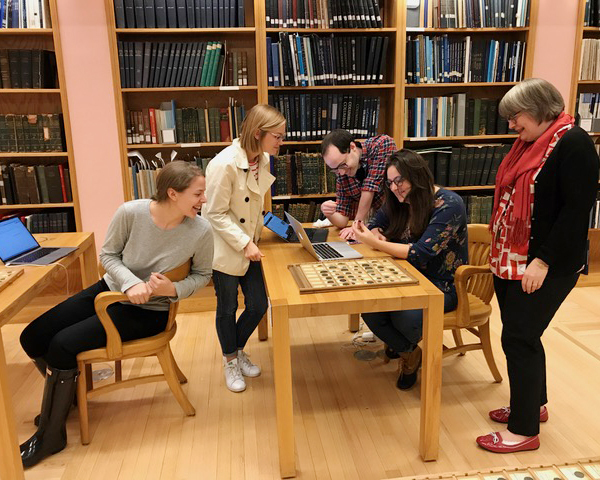 The group, supervised by Dr. Carbone and by RBML Head Librarian Jane Siegel, is expected to complete the preliminary cataloging by June 2019. 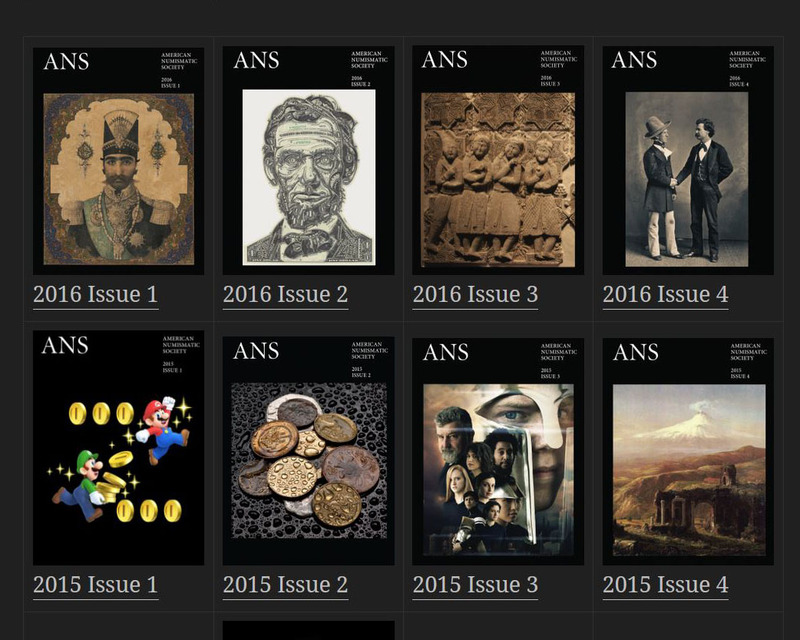 ANS Magazine 2015 issues 1 through 4 are now available from the Back Issues page of the magazine website. Public links will continue to be made available three years after the publication date, continuing the Society's open access publishing policy. 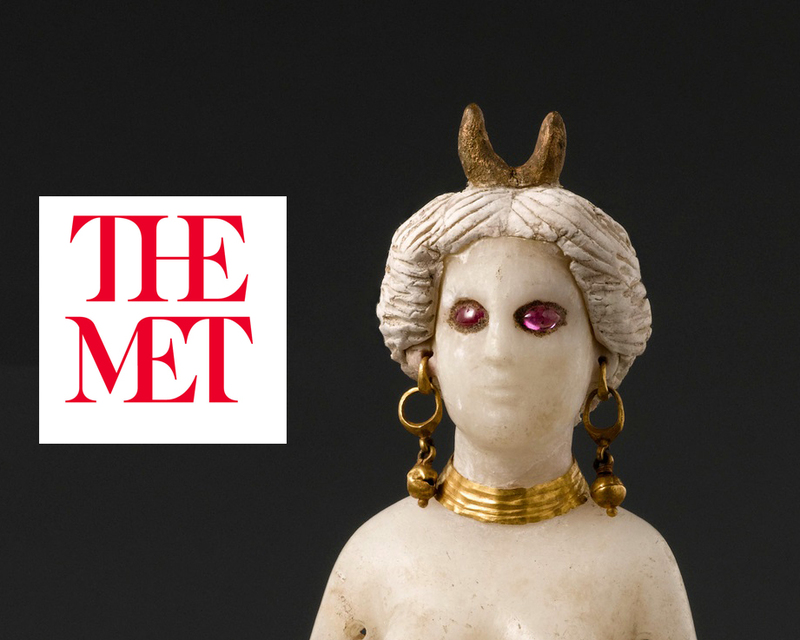 The magazine's digital edition can be viewed on both desktop and mobile platforms in a flipbook style and features full text search, web links to objects in the ANS databases, and allows easy sharing via email, Facebook and Twitter. One of Our Youngest Visitors! 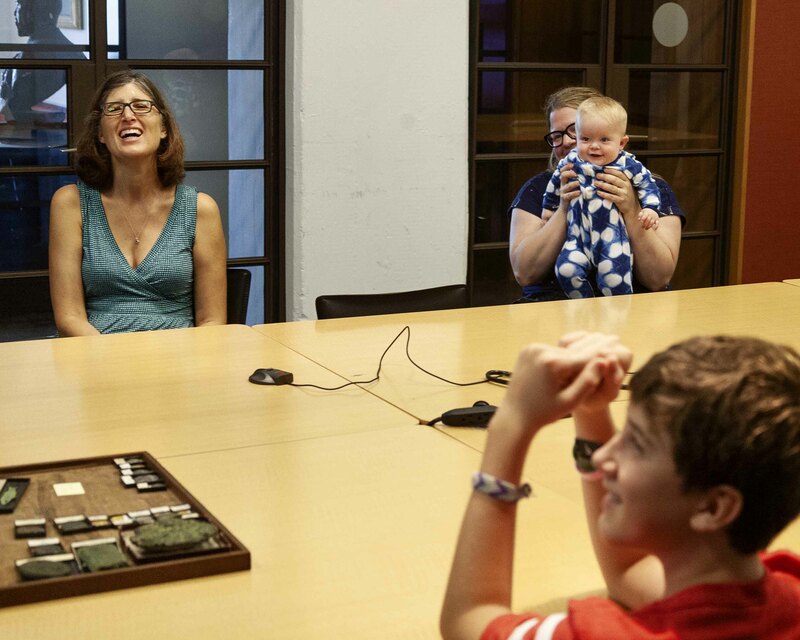 On September 19th ANS welcomed one of its youngest visitors, 7-month-old Ben Wright. 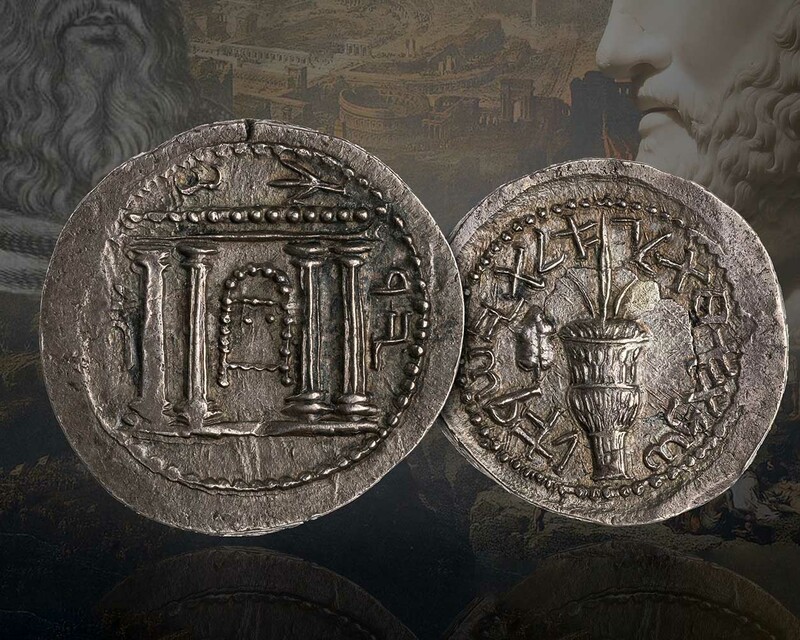 Accompanied by a group of only slightly older friends, aged 6–13, and their mothers, Ben was introduced to the study of ancient coinage by Lucia Carbone. It is never too early to begin! 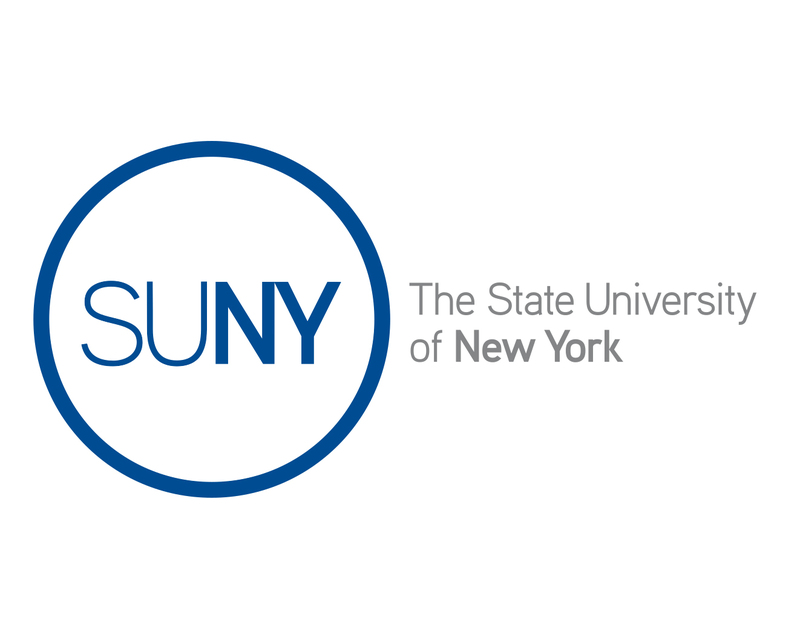 On September 17, David Hendin will give a student seminar for the class of Prof. Michael Kelly on Hasmonean (Maccabean) Coins at the State University of New York (SUNY) in Binghamton. 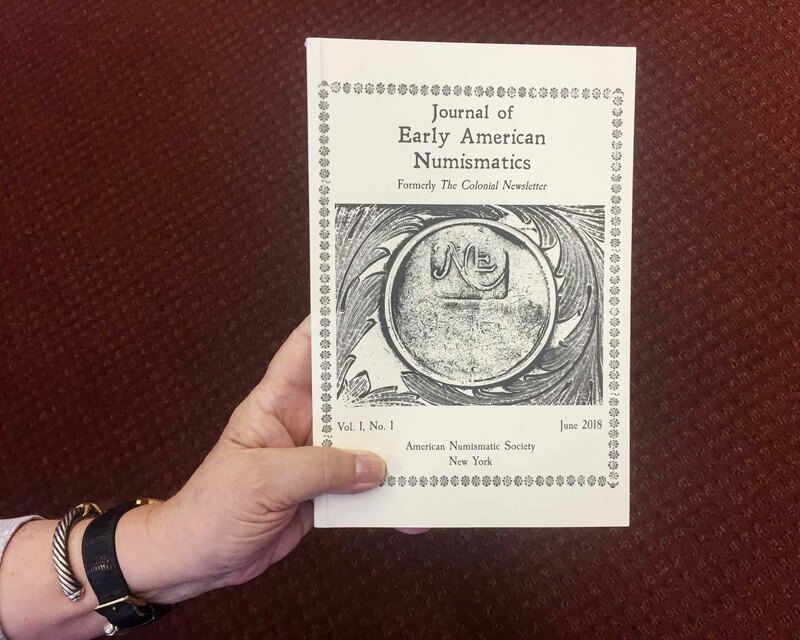 On August 16, the Numismatic Literary Guild recognized two American Numismatic Society publications at its annual awards ceremony. A Monetary History of Central America by Brian Stickney won the award for best book on world coinage (1500–present). 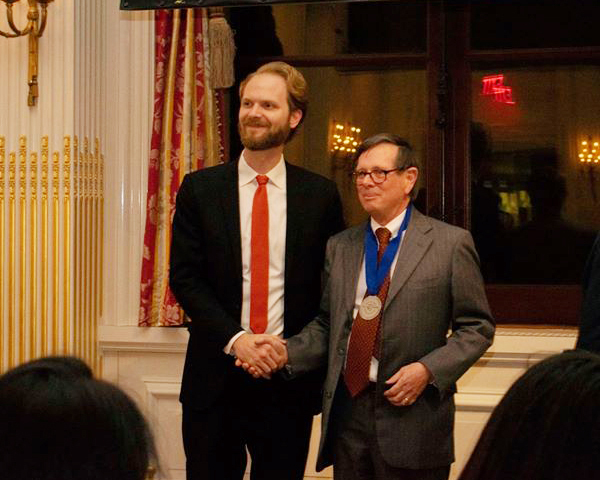 Our Deputy Director Gilles Bransbourg won the award for best article or story of the year for his piece in ANS Magazine, “U.S. 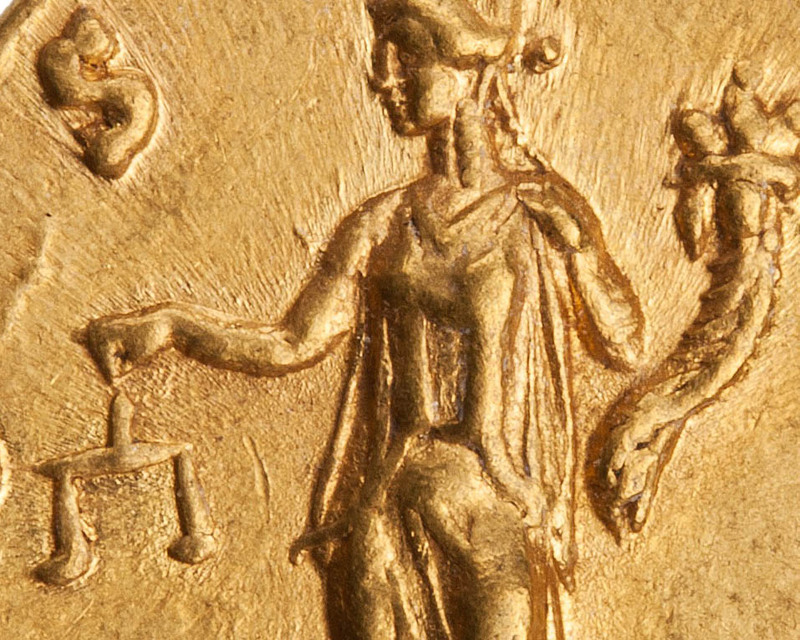 Money Doctors in Latin America: Between War and Depression, the Short-Lived Reinstatement of the Gold Standard,” which appeared in the last issue of 2017. 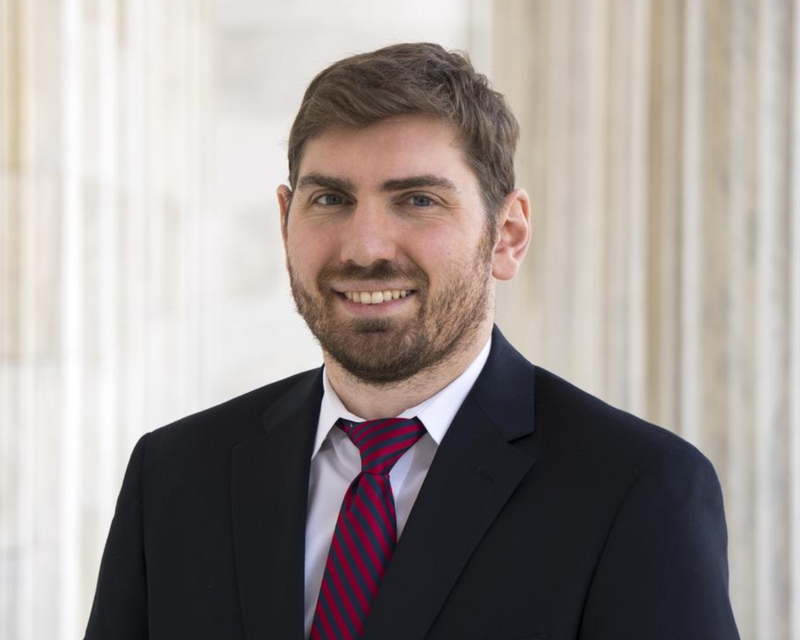 Our Director of Data Science Ethan Gruber presented a talk entitled "Linked Open Data for a Comprehensive Numismatic Research Platform" at the Society of American Archivists annual meeting on August 16 in Washington, D.C. 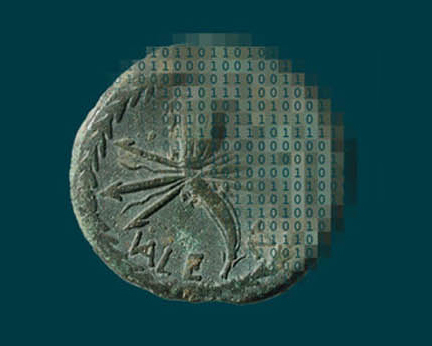 The presentation gave a brief overview of ANS digital projects, with specific focus on integrating our digital archival and library materials more seamlessly into MANTIS, the Inventory of Greek Coin Hoards, and similar research databases. Click here to view his presentation. 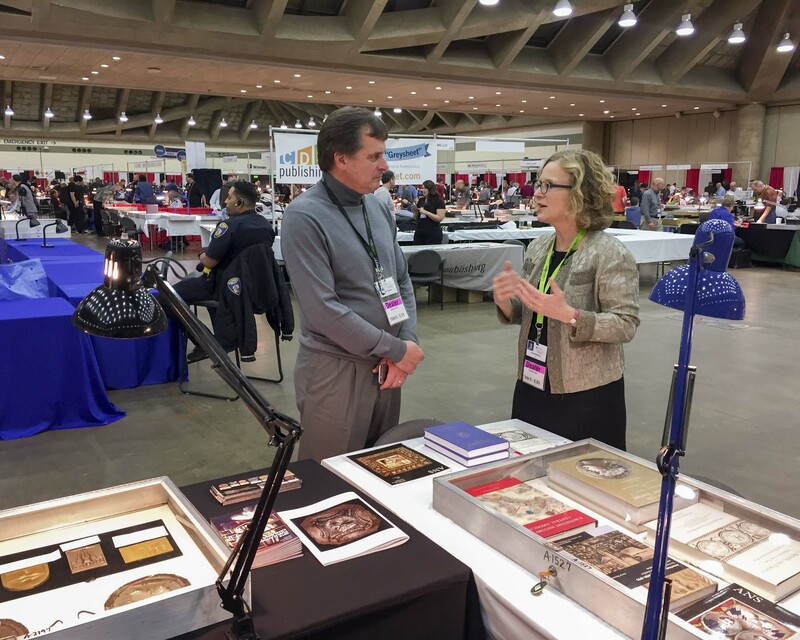 From August 14-18 Ute Wartenberg along with David Hendin, Mary Lannin, Director of Publications Andrew Reinhard, Archivist and Librarian David Hill, and Membership Associate Emma Pratte represented the Society at the ANA’s 2018 World’s Fair of Money, held in Philadelphia at the Pennsylvania Convention Center. AJNs have been sent out! 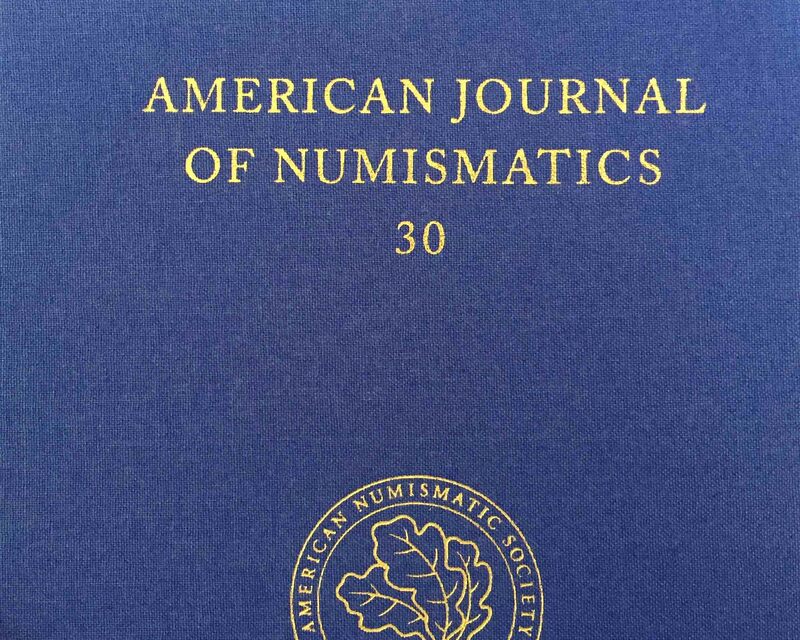 The American Journal of Numismatics volumes 29 (2017) and 30 (2018) have been mailed out to our members. Keep an eye out for your copies! MANTIS now publishes data conforming to the linked.art specification, which is a community-driven effort to standardize art museum data. 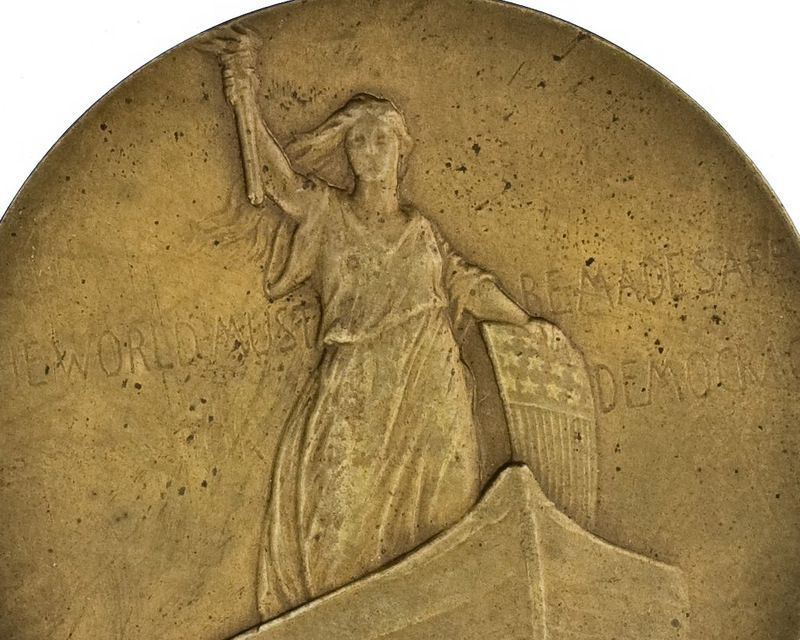 It will in theory enable the ANS to make certain portions of its collection available into projects such as the American Art Collaborative, for example, medals engraved, sculpted, or otherwise designed by famous American artists. For those of our friends who have yet to renew their membership for 2018, please do so today. Click here to renew online. If you are wondering about your membership status or have any other questions, please contact Emma Pratte at 212-571-4470, ext. 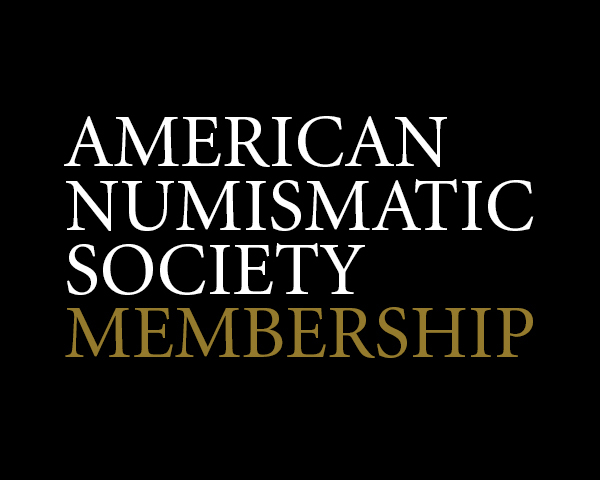 117 or membership@numismatics.org. We have so many books and journals on the horizon (and from the past few years) that we need to make space for this bumper crop of new arrivals! 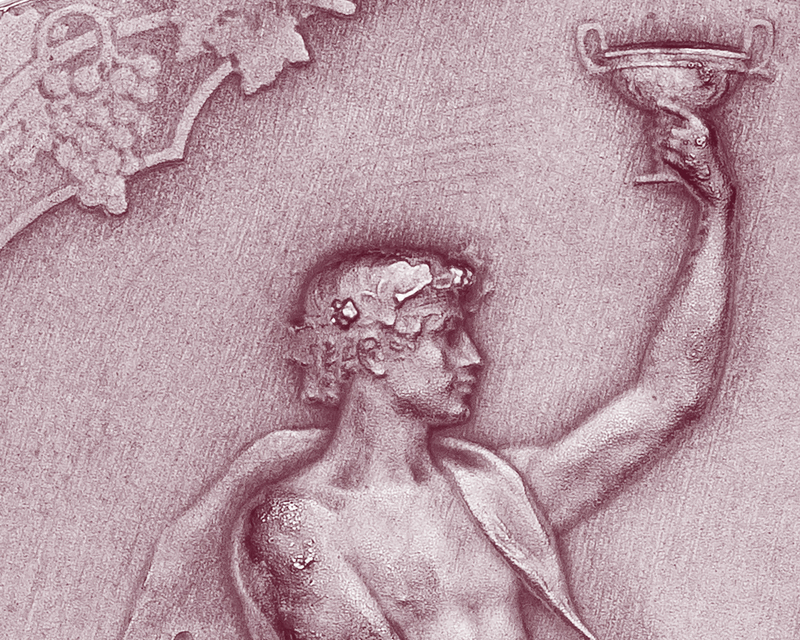 We are offering a special midsummer sale, with a number of our titles priced at $10. These are books in NEW condition, largely wrapped in either paper or plastic and ready to ship. There is NO limit on what you can purchase or the number of copies. Booksellers welcome. This sale ends on August 1 so act fast! See what’s available. 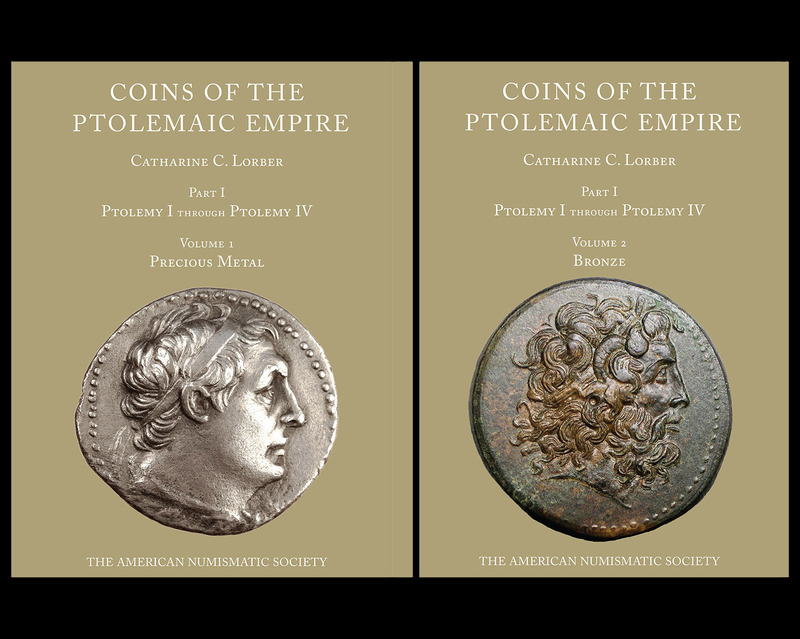 Coins of the Ptolemaic Empire by Catharine C. Lorber will begin shipping to readers on August 15. 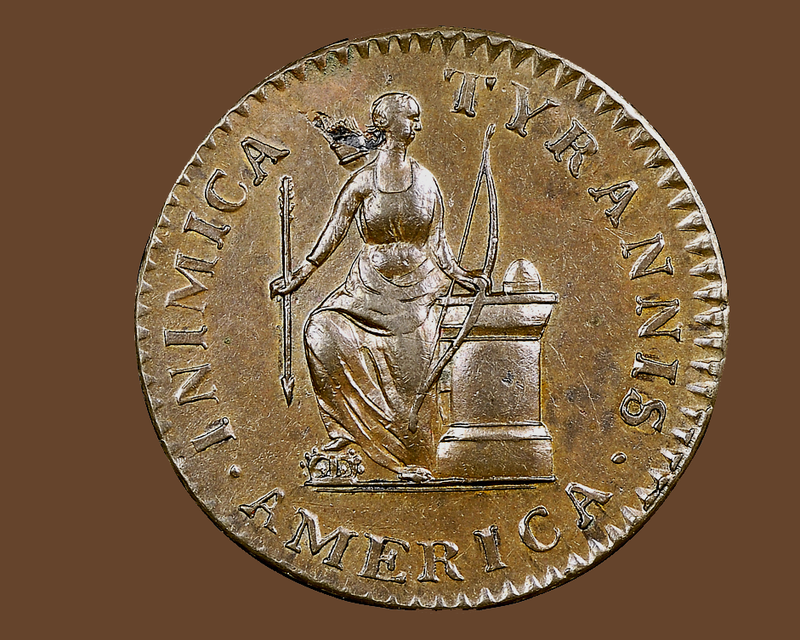 This massive achievement in numismatics is presented as a two-volume set—one volume for precious metal and the other for bronze. 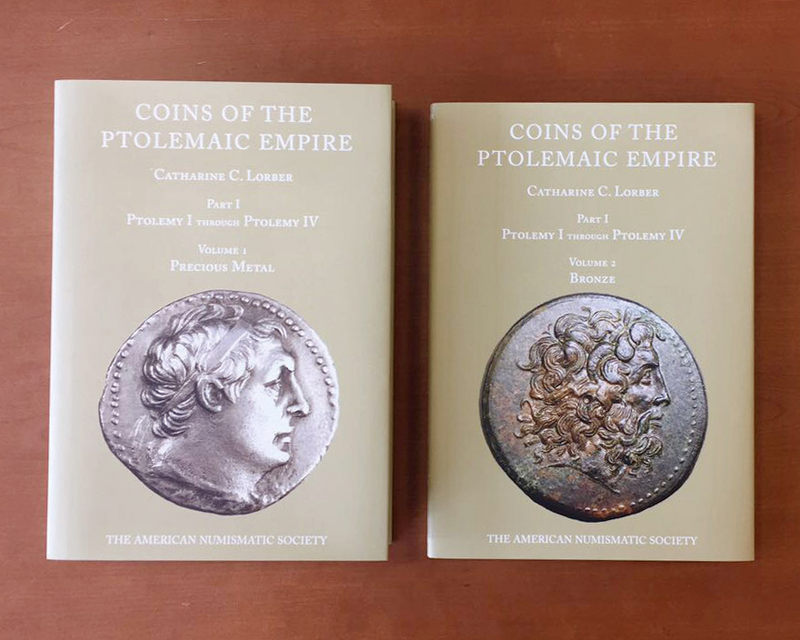 Each volume contains text and plates featuring the coinage of Ptolemies I–IV. Pre-ordering is now available. Money talks will be taking a summer hiatus in August and will pick up again in September. The fall schedule will be announced soon! 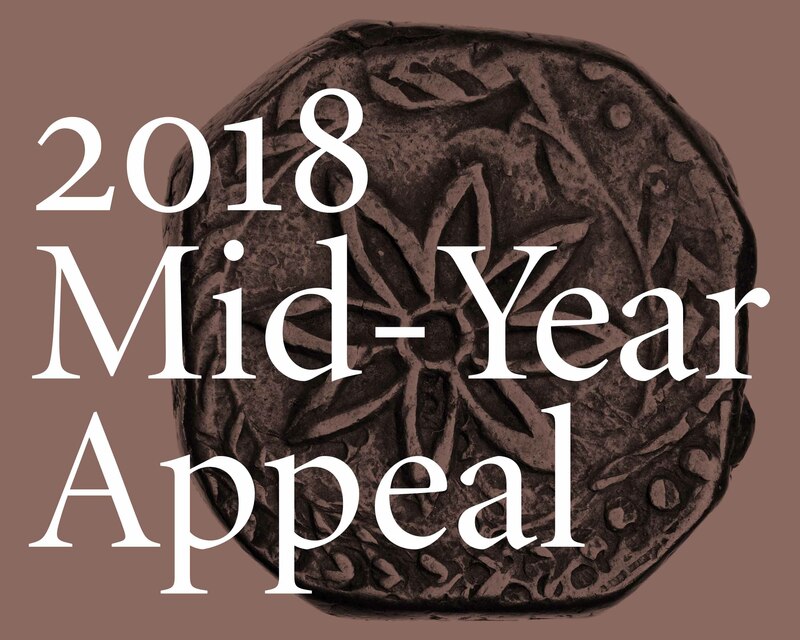 The Mid-Year Appeal is still on! 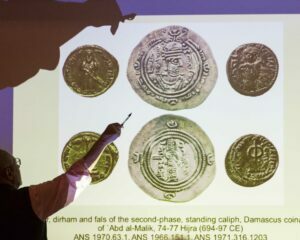 Chief Curator Peter van Alfen, along with Professor Dr. Oğuz Tekin of Koç University AKMED, held the Monetary History and Numismatics Summer School at Koç University's AKMED center in Antalya, Turkey from July 2–14. 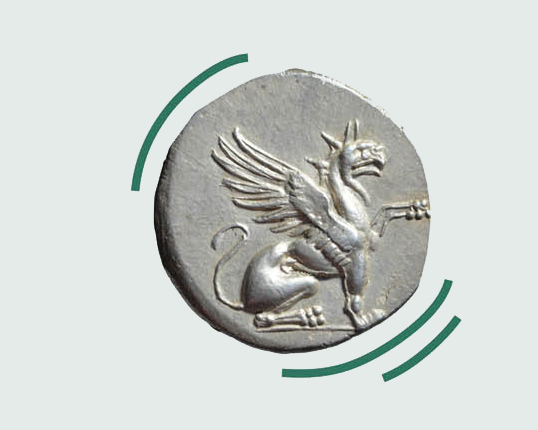 The program covered the basics of numismatics and offered an introduction to the rich contribution of numismatics to the economic and monetary history of the Ancient and Byzantine worlds. 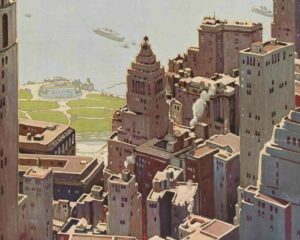 On July 14, Peter van Alfen led a group on the first “Money Talks” tour—Monuments, Medals, Metropolis: A Numismatic Walking Tour Of Lower Manhattan. 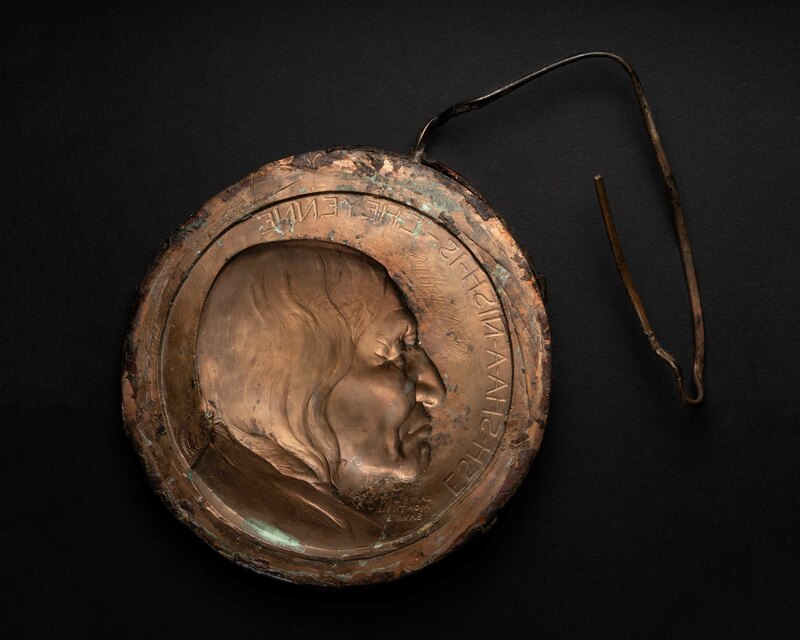 The route vividly illustrated the many connections between numismatic and medallic art of 20th century and the architectural and free standing sculpture found throughout lower Manhattan. Beginning at City Hall Park, they winded their way down to South Ferry, and onto Staten Island. 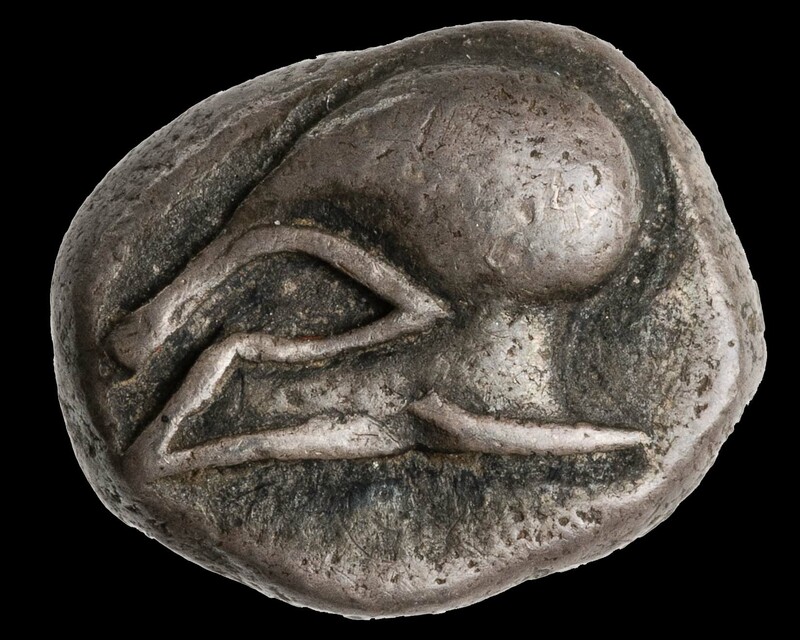 Roman Coinage, a GPD Proxy? 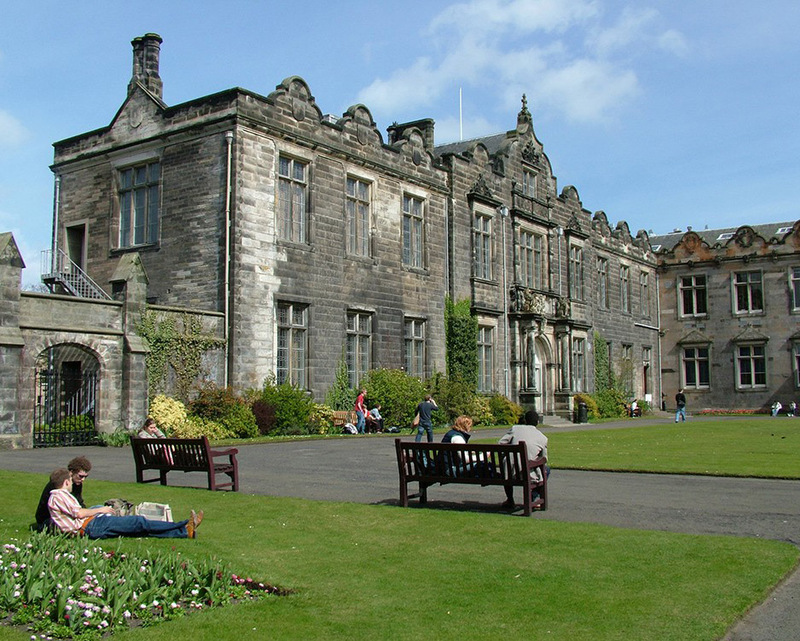 On July 6, Deputy Director Gilles Bransbrourg presented a lecture, “Roman coinage, a GDP proxy?” at “The Uncertain Past: Probability and Other Approaches to Historical Uncertainty” conference held at the University of St. Andrews, Scotland. 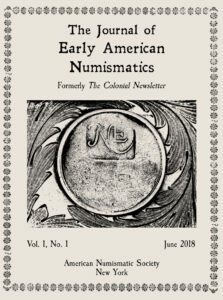 The inaugural issue of the Journal of Early American Numismatics (JEAN) will ship to subscribers in early July. It will replace The Colonial Newsletter. 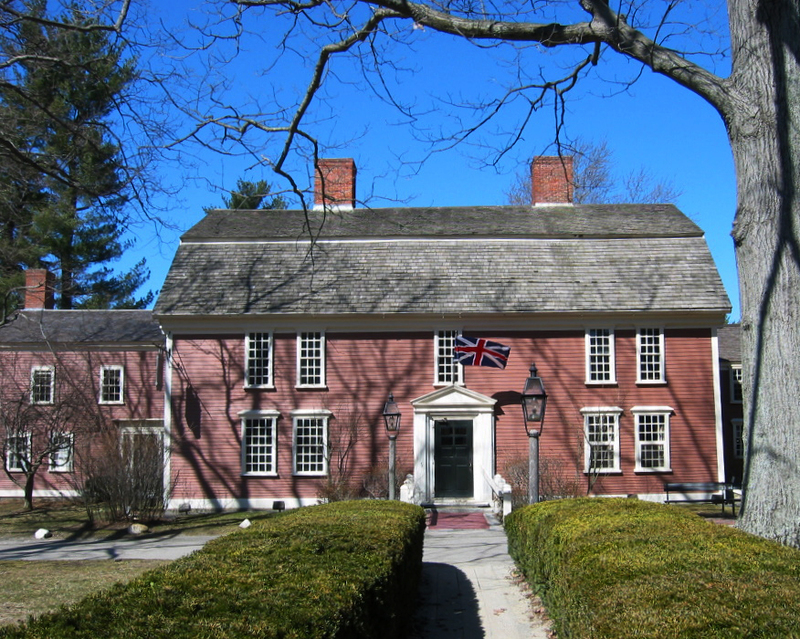 Edited by Christopher McDowell, the 240-page journal includes five articles: “Fiscal Paper and the Financing of the Revolutionary War: The Link between Speculation in Public Securities and Connecticut Coppers” (Christopher McDowell), “(Re-)Discovery: Yale’s Second and Third Noe II-A New England Shillings” (B. D. R. Hellings), “The Evolution of Spanish Colonial Coinage and its Influence on the United States” (Brian Stickney), “Higley Tokens: The Value of Three Pence” (Joseph Daragan), “The Mysterious Auctori Plebis Tokens” (Jeff Rock). 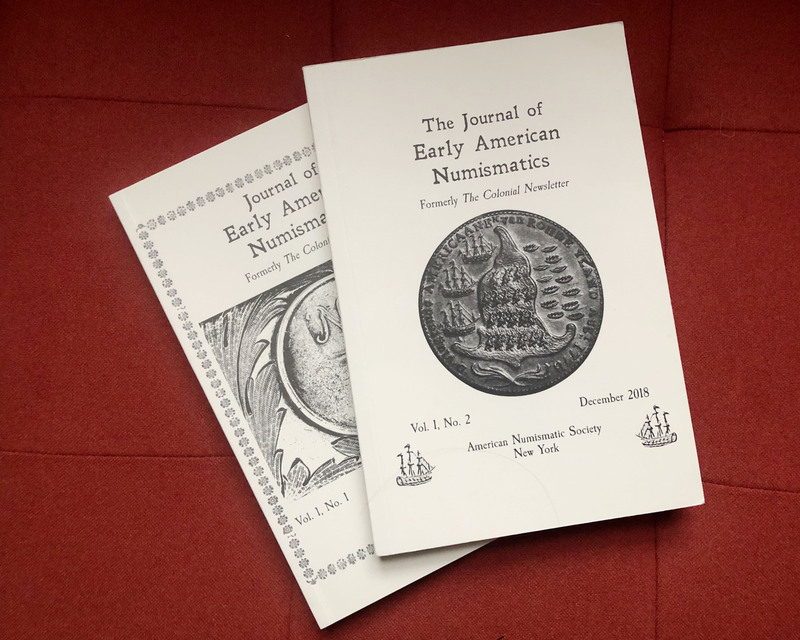 New subscribers are always welcome, and the ANS encourages readers of the new journal to recommend it to their libraries. 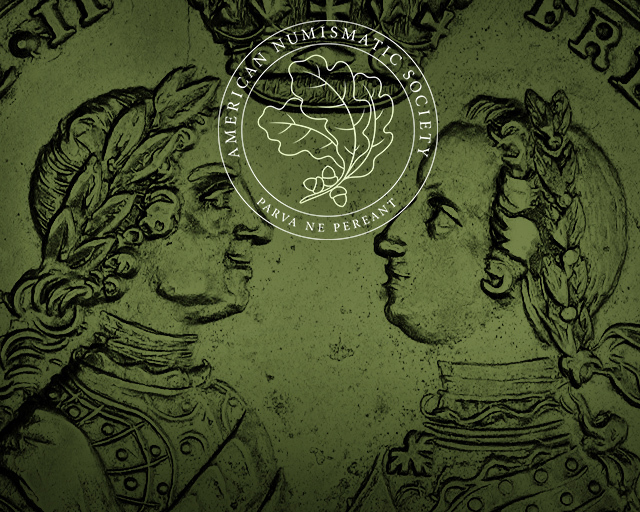 To subscribe (or to renew a subscription), contact Emma Pratte, ANS Membership Assistant, at 212.571.4470 x117, or membership@numismatics.org. 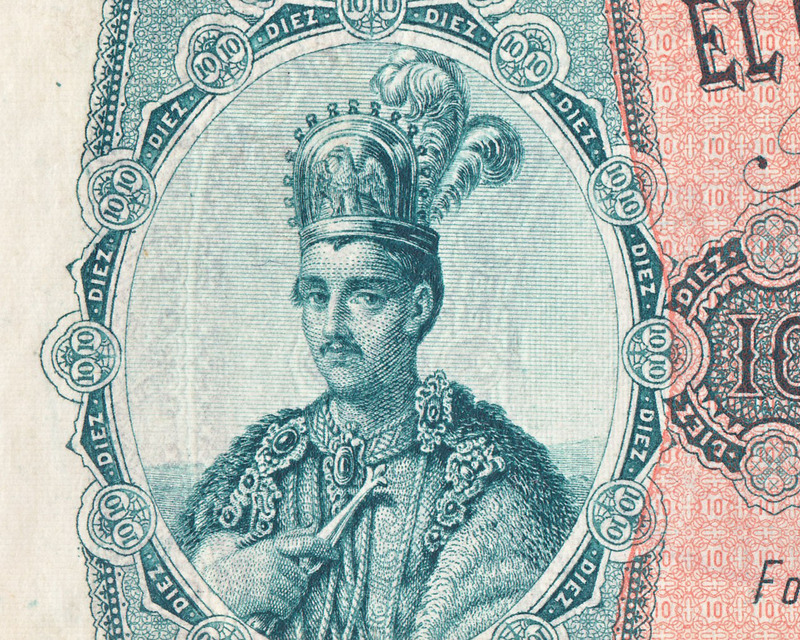 Subscriptions are US $60.00 (two issues/year). The second ANS Magazine of 2018 will be out soon! Issue 2 of the ANS Magazine is at the printer and will ship to Members in June. 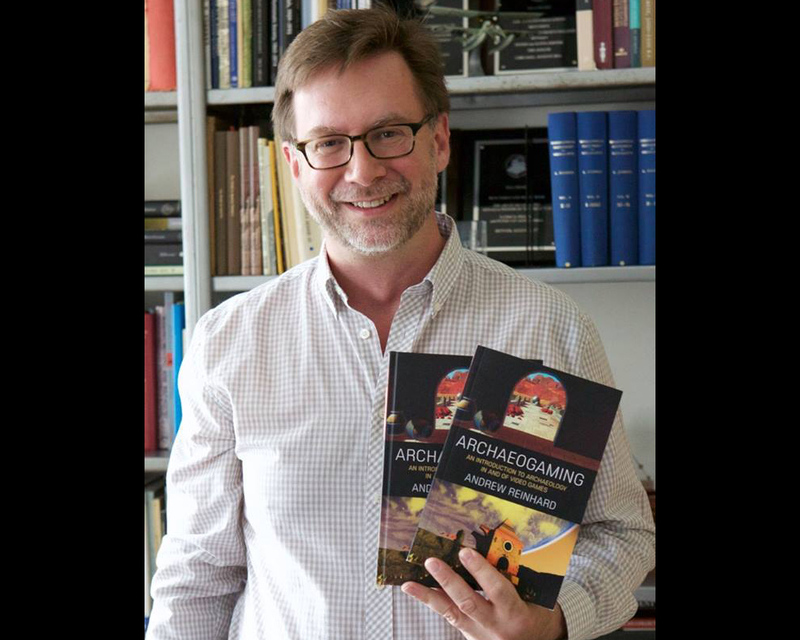 Articles include “Giovanni Dattari and His Fabled Collection of Alexandrian Coins” (Lucia Carbone), “Notes on a Numismatic Manuscript from the Trivulzio collection in the ANS Library” (Hadrien J. Rambach), “The Archaeological Excavations at the Ancient Town of Akrai in Southeastern Sicily” (Roksana Chowaniec and Tomasz Więcek), plus news of the library and collections, book reviews, and an obituary for Stephen H. Corn. 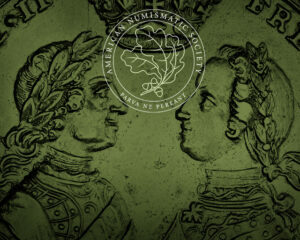 Magazine subscribers will also receive our new ANS Publications catalogue. 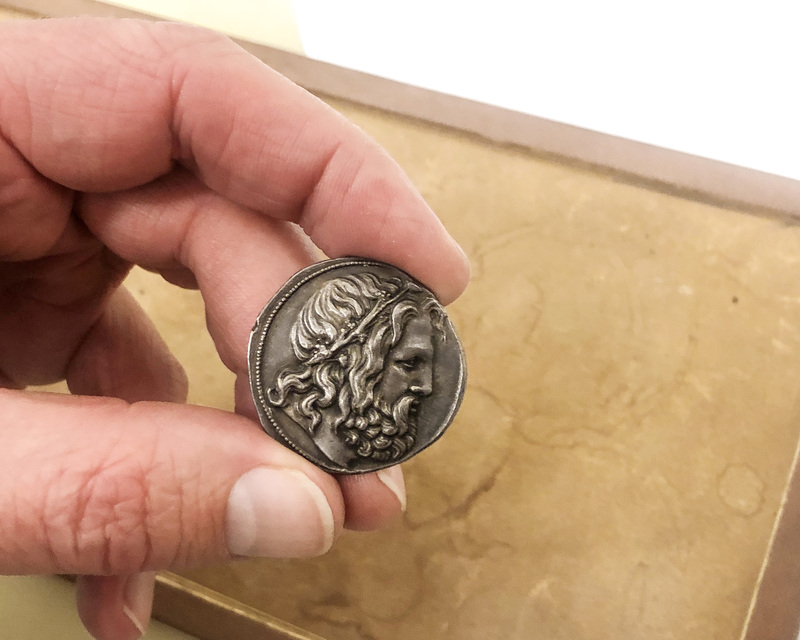 On May 1, ANS staff including Ute Wartenberg, Peter van Alfen, Gilles Bransbourg, and David Hill, and welcomed the Philodoroi: Friends of Greek and Roman Art from the Metropolitan Museum of Art for a special behind-the-scenes tour of the ANS library and special collections and the curatorial section. On May 12, Jere L. Bacharach gave a presentation in our series "Money Talks" where participants learned how to identify different Islamic coins without knowing a word of Arabic. 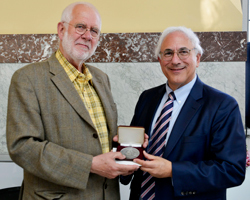 Jere L. Bacharach, Professor Emeritus of Middle East History at the University of Washington, Seattle. He has been a member of the ANS since 1966 and has served as an ANS Trustee. As part of the Society’s outreach program to schools, on May 29, the ANS welcomed a group of 30 third-graders from Dwight School. The students learned about the nature of money as a medium of exchange with Peter van Alfen. Gilles Bransbourg introduced them to concepts such as the gold standard, paper money, and inflation. Lucia Carbone challenged the students’ knowledge with an ad hoc quiz, focusing on the topics discussed earlier in the morning. 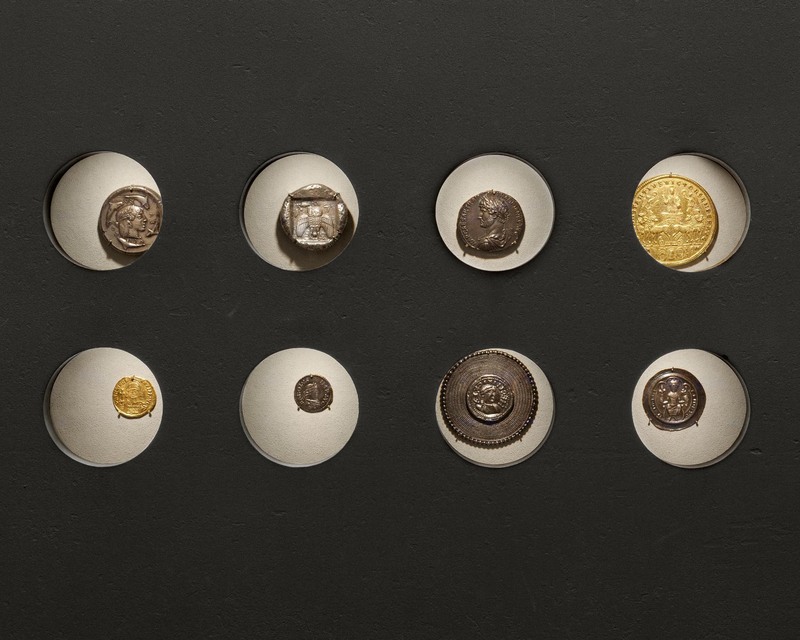 They were show a variety of examples ranging from African cowrie shells, ancient Roman coins to the Zimbabwean 100,000,000,000,000 bill.